Progress of the Seasons Journal: 8 May, 1832-1862. Current Columbia County Phenological Events for 2015: Lots happening, but not so many ‘first time sightings’, Spring has definitely arrived. 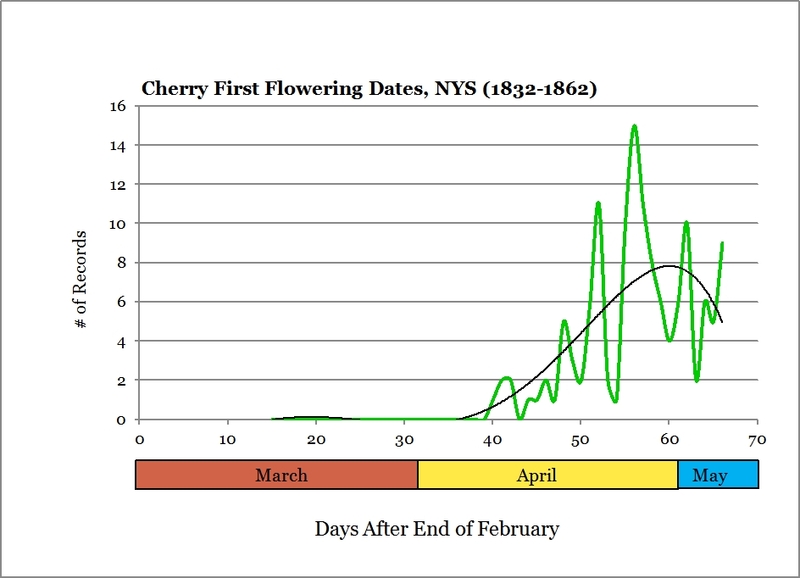 Here is the historical phenology report from the ‘Progress of the Seasons Project’ (hvfarmscape.org/seasons) for May 8. ‘Photographer’s Choice Day’ meant that, rather than sift through books to find info. on items mentioned in the historical reports, I went out and did a personal mini-bioblitz – how many signs of Spring could I photograph in three hours or so? Which of these were listed in today’s or recent day’s historical records? No attempt at artful organization below, but some glimpses of what is currently out there. The historical details for this date follow the photos. Male ash catkin. 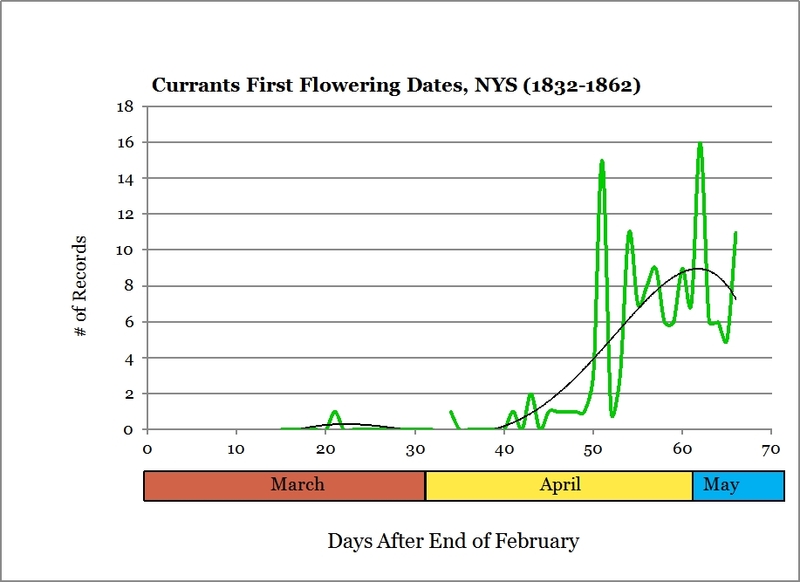 Flowering ash is Just beginning to show up in the historical records. Black Cherry getting ready to flower. There are numerous “Cherry flowering” reports but not always sure which species is being referred to. A male Bobolink ‘shouting’ at other males, waiting for the females to arrive. Common in the historical records. 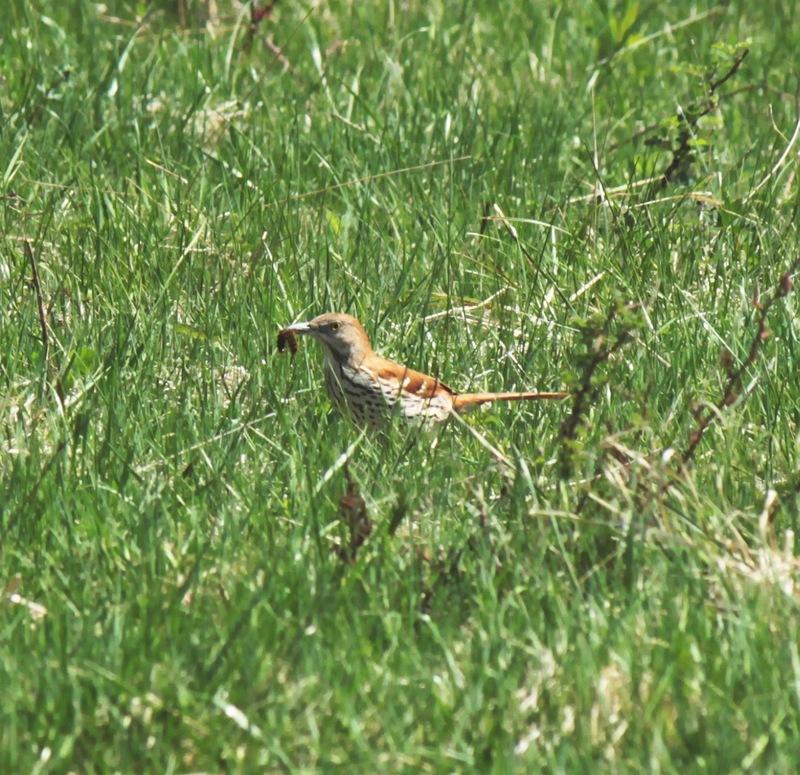 A Brown Thrasher, not mentioned in the records. Golden Ragwort thinking about flowering. 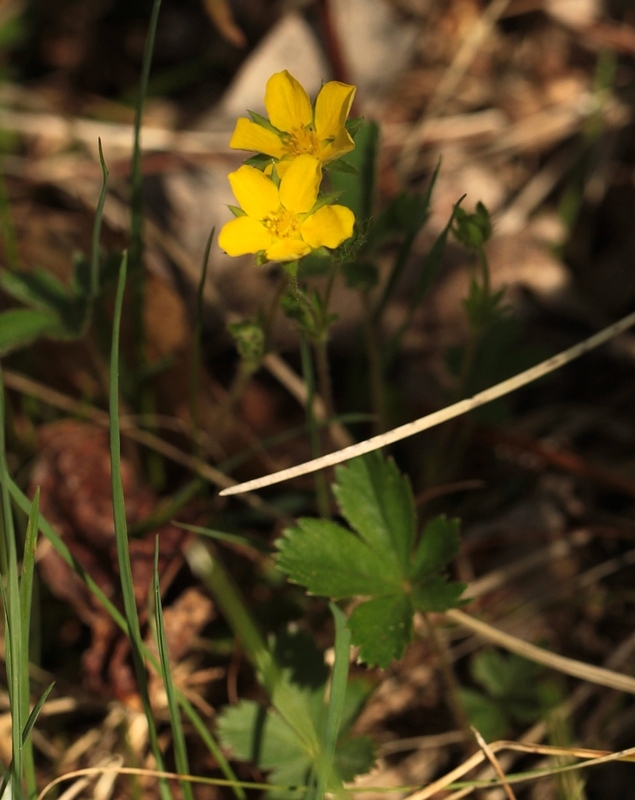 Kidney-leafed Buttercup; at least one later record in the historical data. Cinquefoil; some later records in the historical data. Columbine; common in the historical records. Crab Apple; strangely absent in the historical data. 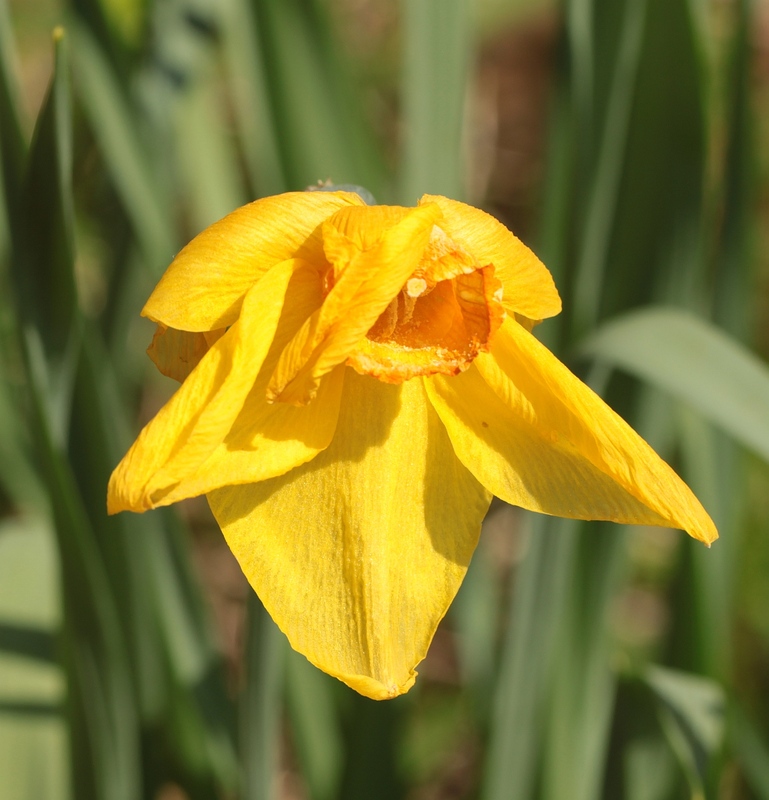 A fading Daffodil, common in the historical records. Dandelions, common in the records. 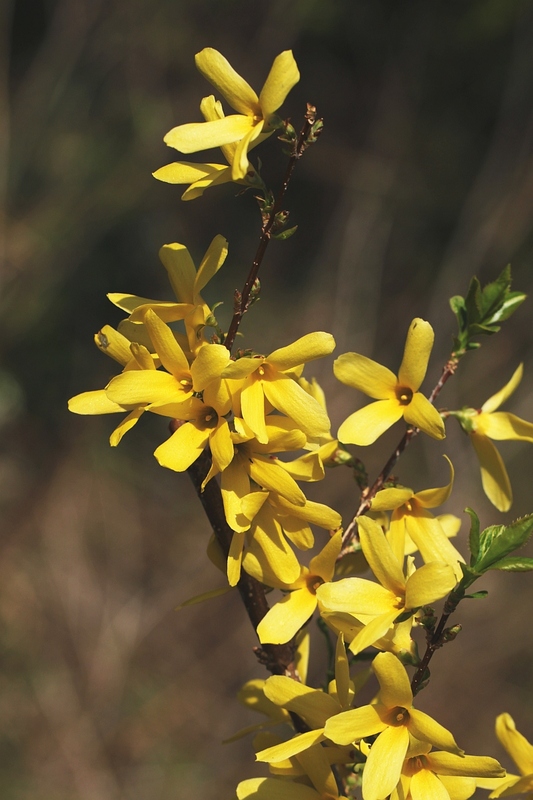 Forsythia, absent in the records. Not widely grown at that time. 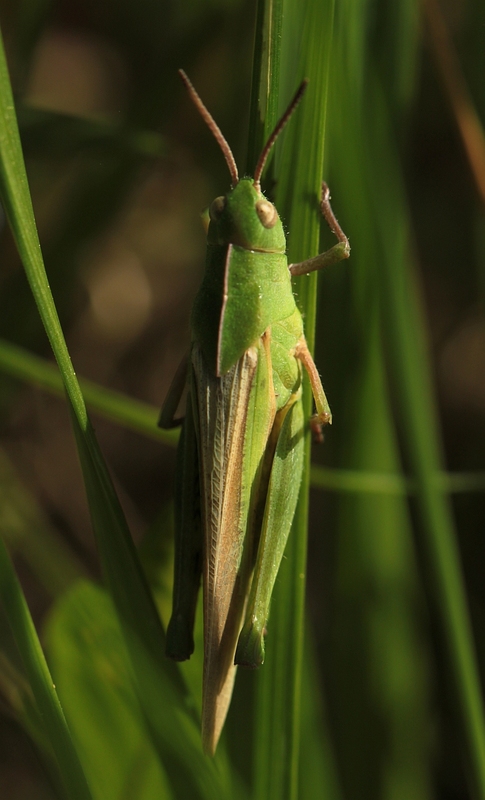 Grasshopper; yep, they had them then too. Hawthorn; does show up in the records. 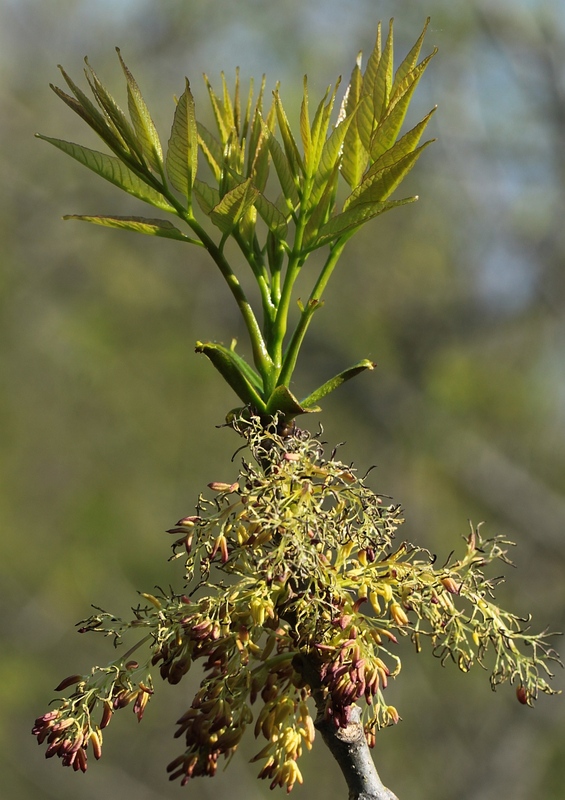 A flowering Hickory; only leafing out records, no flowering noted. 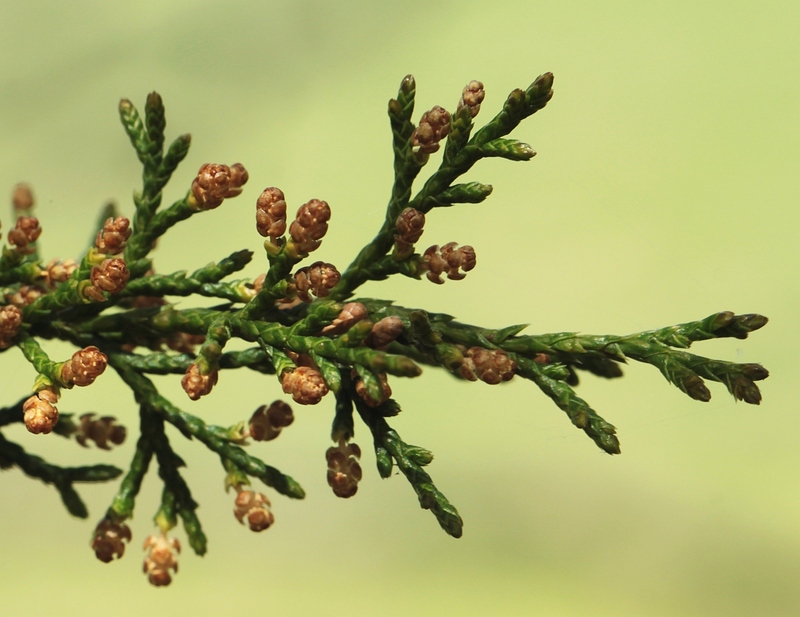 Red Cedar flower buds, at least one historical record. A Cress; some species noted historically. Wild Strawberry; apparently often noted in records. 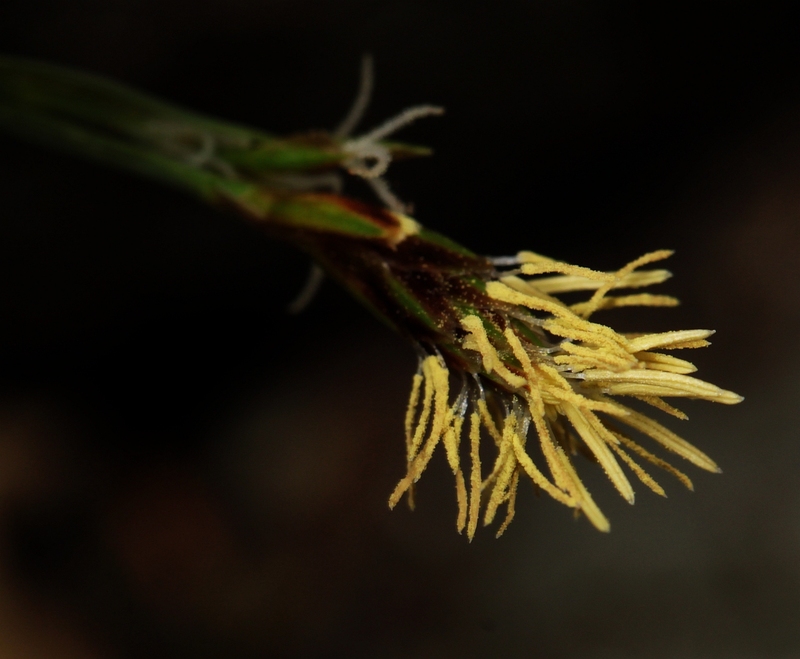 Pennsylvania Sedge; surprisingly, there are some historical sedge flowering records. Peach; oh yeah, they’re blooming now and historically. Pear; another frequent item historically. Poison Ivy, not noted, but surely present, though perhaps not as abundant. Common Violet; common now, common then. Yellow Warbler or Yellow Bird; does show up in the records. Quince! A historical character also. Red Maple seeding out. Red Maple flowering definitely noted historically. 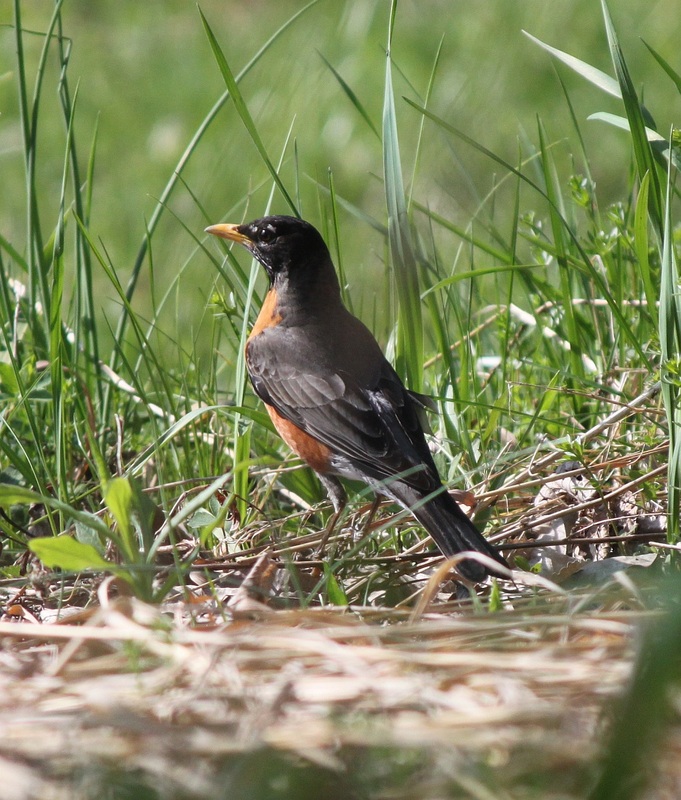 Robins are everywhere, then and now. Red or Scarlet Oak flower catkins. There are some historical oak flowering records. 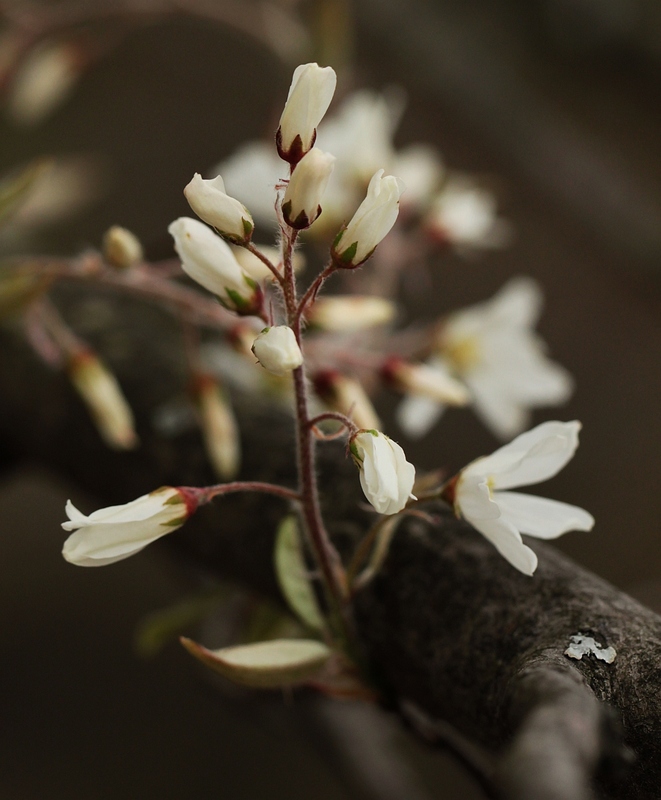 Shadbush – a harbinger of Spring, then and now. A Tree Swallow; Swallows were commonly noted in the records. 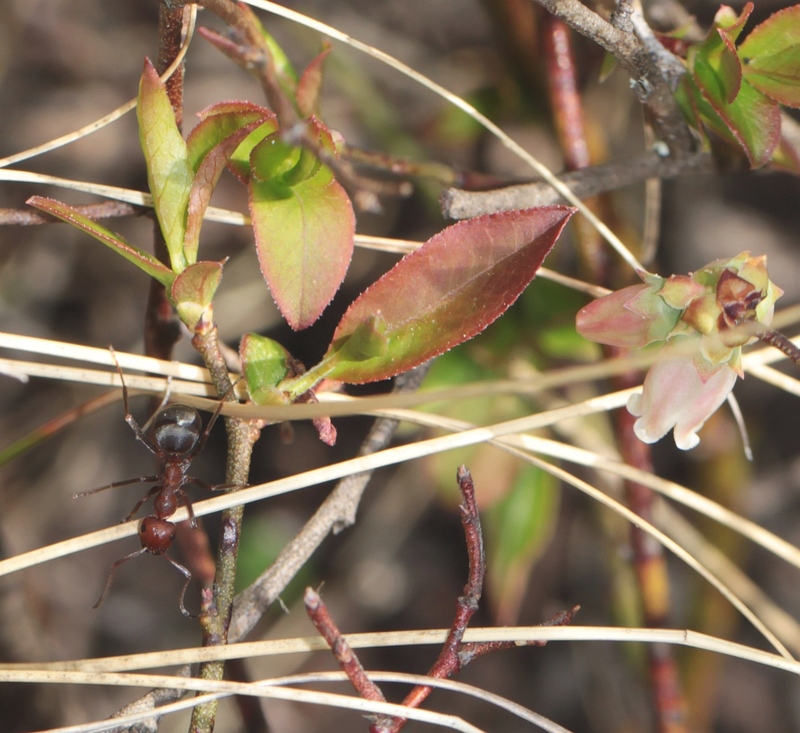 A wandering ant on blooming Vaccinium; the latter were recorded historically. A tulip; occasionally noted historically. A flowering White Oak, also noted historically. Wood Anemone; also noted historically under the name of Wind Flower. Just a ‘flower’ made from young oak leaves to cap off the images. Herbs: Wild Columbine reported as in leaf and Trout Lily in bloom in Chatham, 1852. 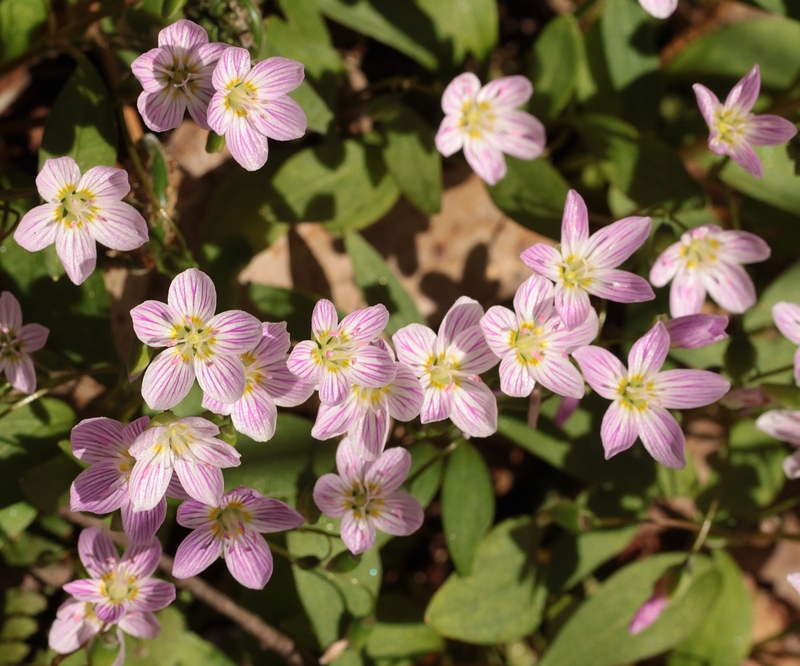 In New Lebanon, 1851, Hepatica and Spring Beauty had blossomed. Woodies: Elderberry, White Oak and Red Maple reported as in leaf in Chatham, 1832. In the same year, Red Maple bloomed in New Lebanon. Spencertown noted Flowering Almond producing leaves in 1855. Birds: Hudson’s first Swallows arrived in 1832. Agriculture: Plums noted as blooming in three reports: Kinderhook (1832), Hudson (1832) and Red Hook (1835). 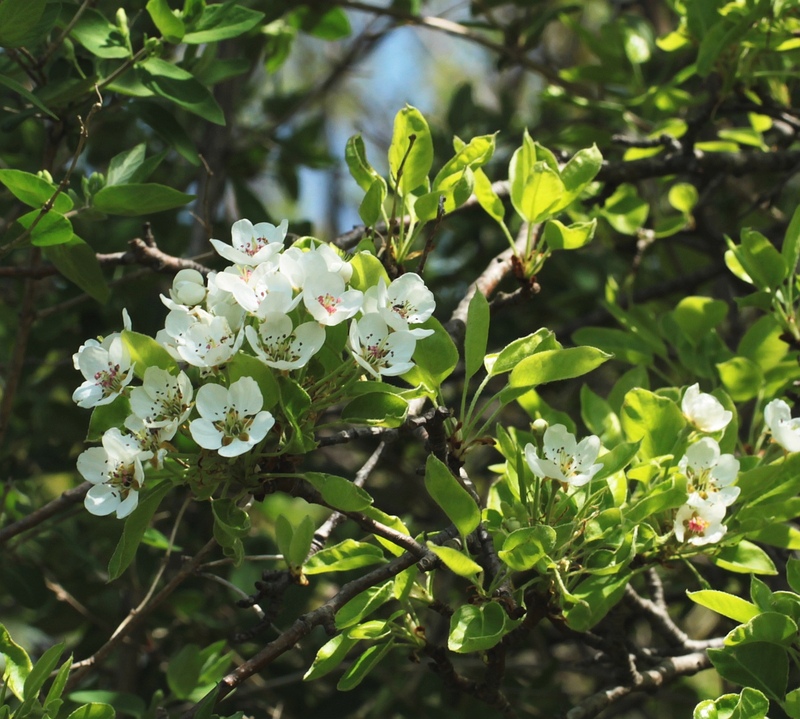 Pear reported as blooming in New Lebanon in 1851. Peaches bloomed in New Lebanon in 1853 and in Hudson in 1832. In 1835, Cherries blossomed in Red Hook. Red Currant produced leaves in Chatham in 1852. 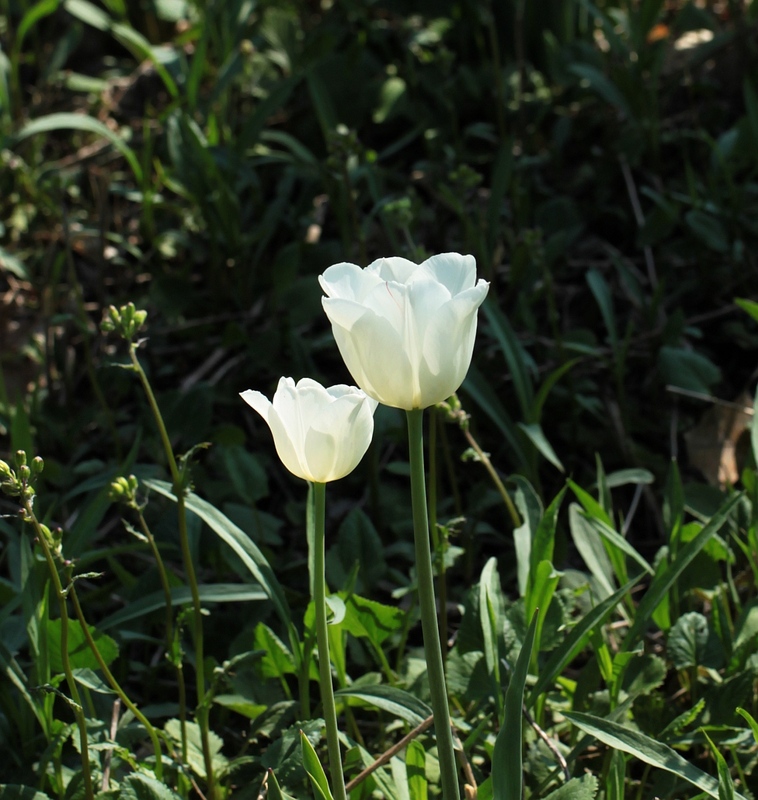 Herbs: Tulips, Trillium, Wild Strawberry, Chickweed and Nightshade had bloomed. Yarrow and Wild Strawberry were in leaf. Two reports of bloomed Dandelion. 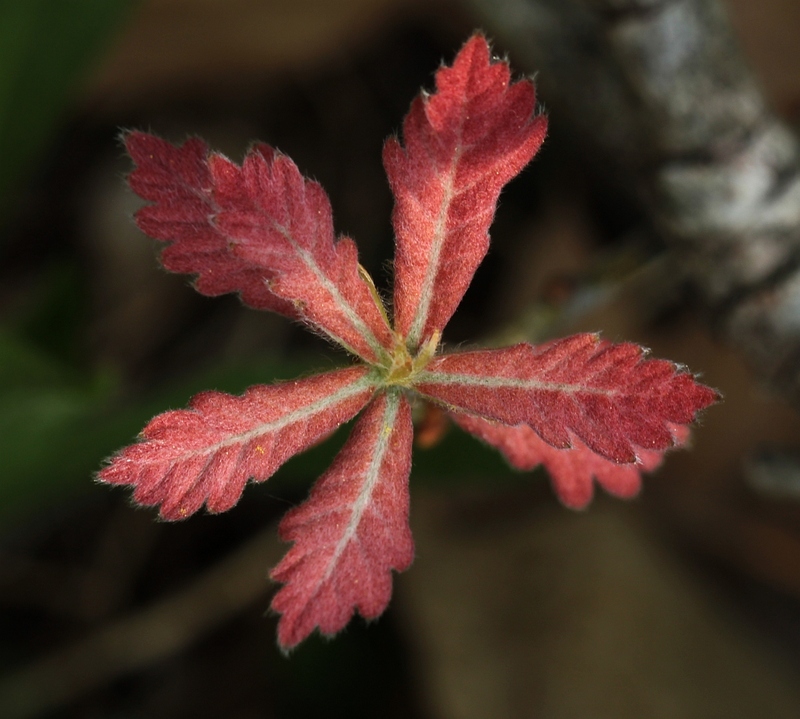 Woodies: Paired reports of leafing Sassafras, American Elm and bloomed Horse Chestnut. Snowball, Honeysuckle, Lilac and Dogwood had blossomed. Producing leaves were Tree of Heaven, Chestnut, Alder, Wild Black Cherry and Shagbark Hickory. Birds: Six reports of arrived Bobolinks; a lone report of observed Swallows. Agriculture: Three reports of flowered Apples, Plums and Pears; four for the bloomed Cherry trees. Corn planting commenced in two reports; Quinces blooming and Apple trees showing leaves noted in two reports each; a solo report of leaved Pear trees. Agriculture: Reports of bloomed Gooseberry and Peach. Woodies: Sugar Maple and Wild Black Cherry had leafed and Shadbush bloomed. Herbs: Saxifrage, Bluets and Dandelion flowered. Woodies: Shadbush produced leaves. Red Maple bloomed. Agriculture: Currants reported as both in leaf and blooming. Strawberries had flowered. Herbs: Flowered Trillium, Dandelion and Hyacinth. Herbs: Three reported Trillium in bloom; two of flowered Dandelion. Dutchman’s Breeches reported blossoming. Woodies: Shadbush in bloom in three reports; Hobblebush also noted as flowered. Birds: Barn Swallows arrived in paired reports. Agriculture: Bloomed Currants, Cherry and Apple; three reports of flowered Plums. Herbs: Flowered were Daffodils and Dandelions. Woodies: Specimens in leaf included Sugar Maple, Black Locust and Basswood; Red Maple bloomed. Birds: Bobolinks first seen in Cortland, 1847. Agriculture: Three reported blooming Currants. Apple both in leaf and in flower; Cherries blossomed in paired reports. Strawberry, Gooseberry and Apricot also bloomed. 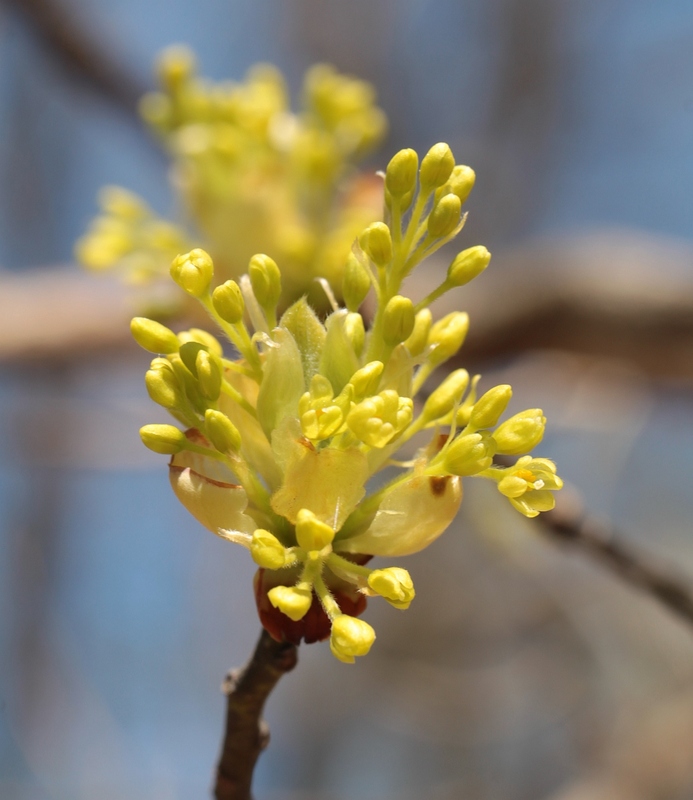 Woodies: Shadbush bloomed in three reports, Spicebush in two. Lilac reported as both in flower and in leaf. Yellow Poplar produced leaves, American Elm blossomed. Birds: Chimney Swallows first seen in Rochester in 1849. Agriculture: Plums and Pears had flowered; Gooseberry put forth leaves. Agriculture: Reports of Peaches and Apples blossomed. Gooseberries had put forth leaves. Herbs: Trout Lily, Miterwort and Spotted Geranium had flowered. Agriculture: In leaf was Red Currant. Strawberries bloomed. Progress of the Seasons Journal: 7 May, 1832-1862. 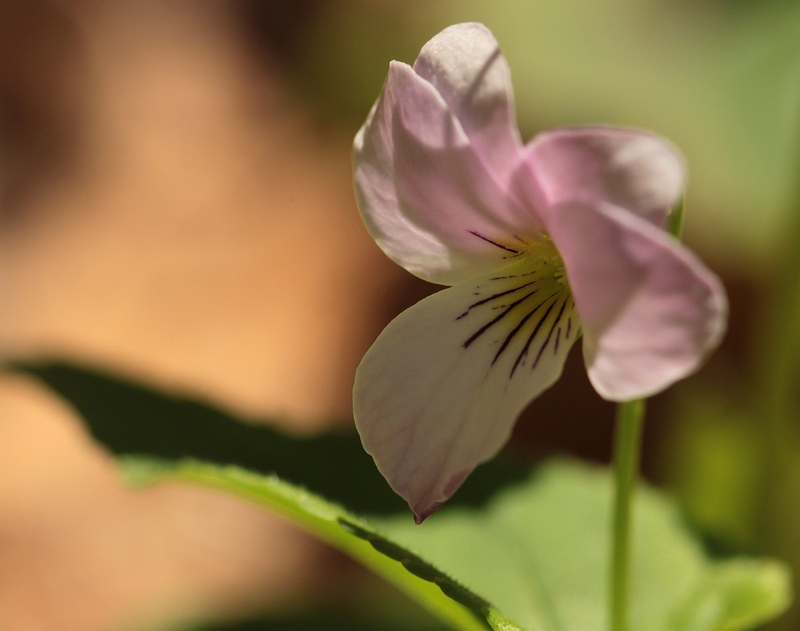 Current Columbia County Phenological Events for 2015: Canada Violet seen in flower. Here is the historical phenology report from the ‘Progress of the Seasons Project’ (hvfarmscape.org/seasons) for May 7. How to predict Apple flowering date (in Kinderhook, NY) from Frog calling date. Story Behind the Headlines: This is a corrected and revised ‘re-publication’ of some information we published earlier this year on Facebook. I know they’re graphs, but please bear with me – I think it’s kind of cool. One reason that the Regents of an agriculturally-dominated area were interested in following events like Frog calling dates and Swallow arrival times was in hopes that one date might predict the other. If Frog calling, for instance, could tell you something about the up-coming growing season, then perhaps you could use it hone your planting dates or, at the least, plan your work schedule. As one way of looking at this, we explored the relationship between that Frog calling date and Cherry and Apple blossom dates. Can Frog calling date be used to predict an agricultural event a month or so later? How to predict Cherry flowering date (in Kinderhook, NY) from Frog calling date. Indeed, as shown in our graphs, it can. 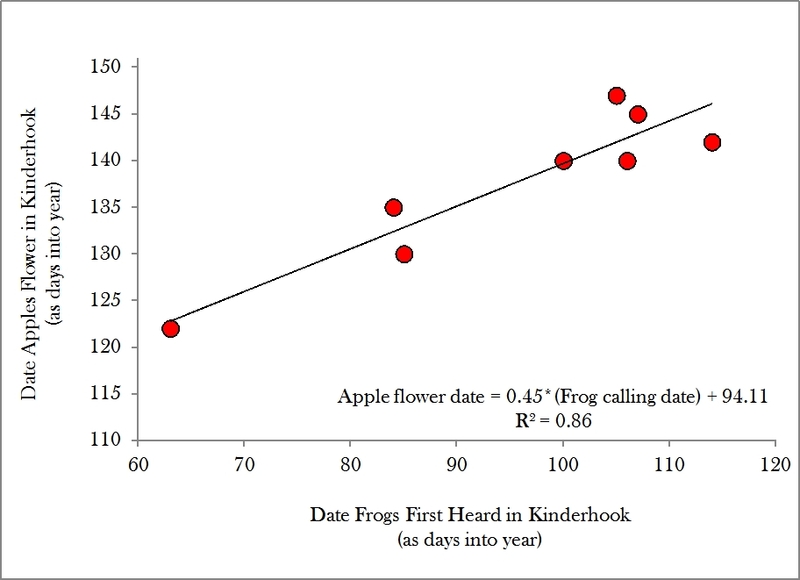 For here is the previously unrevealed secret: you can predict Apple blossom time from Frog calling date using the intuitive (hah!) formula, Apple flowering date = 0.45 * (Frog calling date) + 94.11, where dates are expressed as days into the year (for example, January 31st = 31, February 28 = 59, etc). So, here’s our prediction. Given that we’ll say local Frogs began calling about on 7 April (i.e., 97 days into the year), Apple flowering date would be predicted to be about 138 days into the year, or around the 18th of May… there, who said phenology wasn’t useful! A similar equation for Cherries (see the graph for formula) would predict that domestic (probably orchard) Cherries would flower this year on the 9th of May. While we’re boring you with graphs, I want to show you two more, but first a little background. 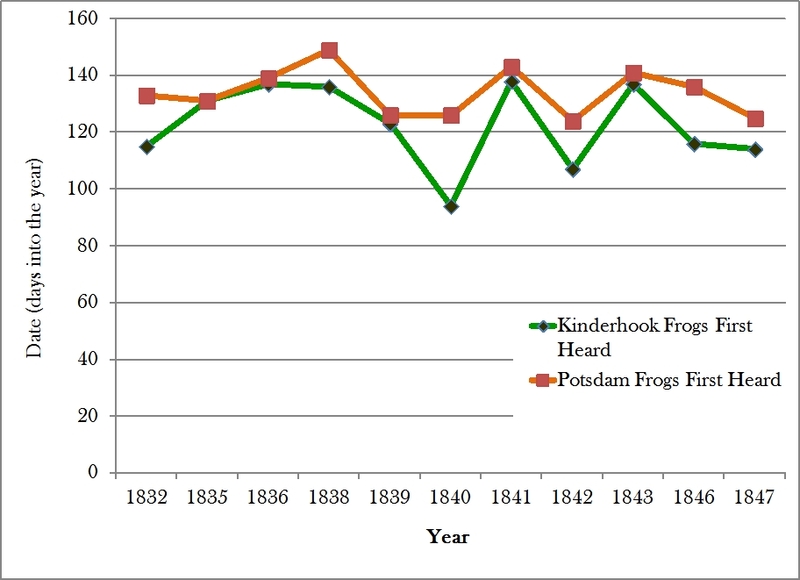 A comparison of first Frog calling dates in Kinderhook with those in Potsdam. One of the main stated motivations for the Regents’ project was to ‘calibrate’ the seasons around New York State. In order to use the raft of agricultural advice emanating from different parts of the Country, if not World, farmers needed a correction factor that would let them adjust any calendar-specific recommendations to their own climes. 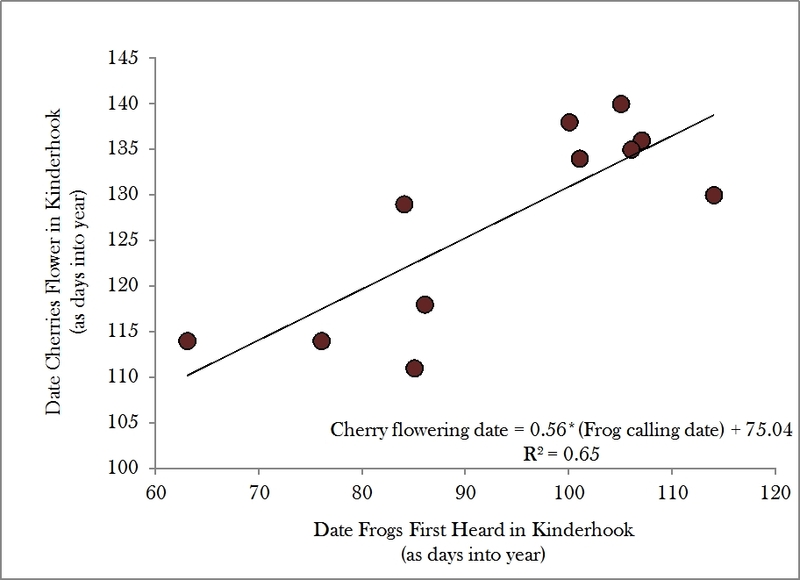 Our last two graphs search for this correction factor by comparing the frog calling dates and apple flowering dates for Kinderhook and Potsdam (up north in St. Lawrence County). Potsdam average temperature is about 3.5 degrees cooler than Kinderhook. 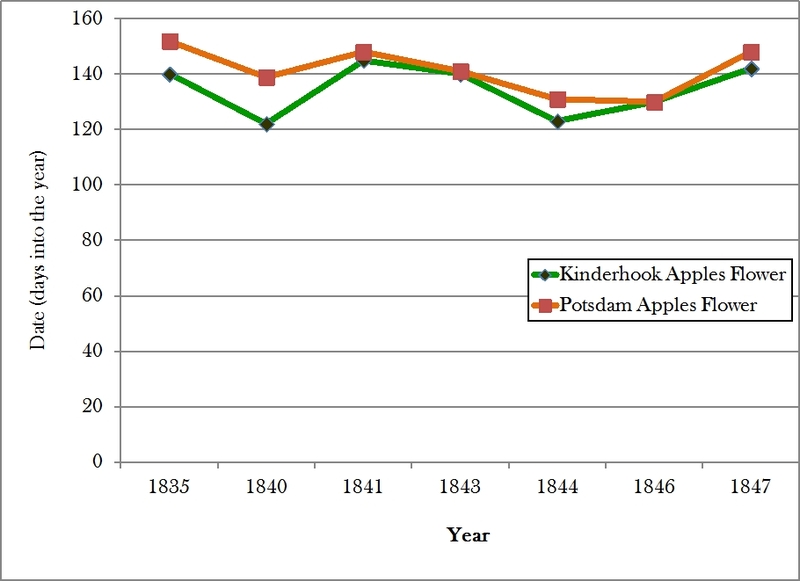 A comparison of Apple flower dates in Kinderhook with those in Potsdam. 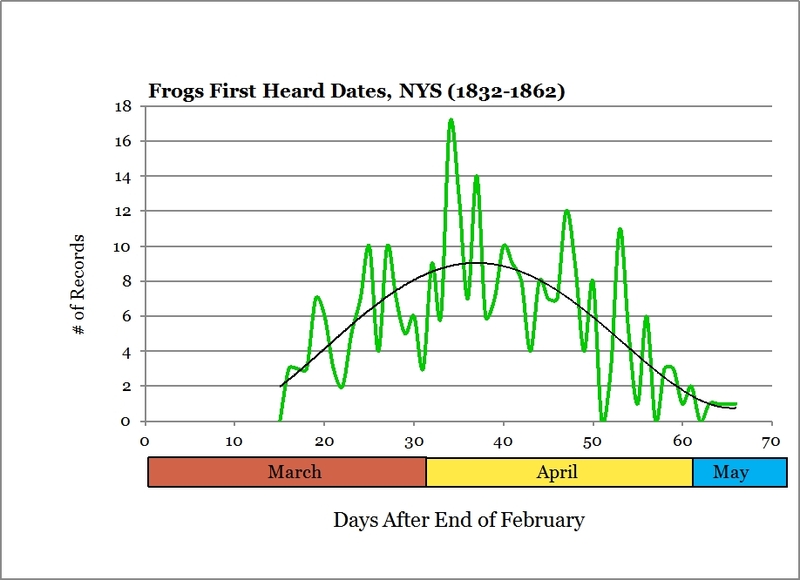 The graphs indicate some of the difficulties that De Witt and his successors may have experienced in applying their model: frog calling did happen, on average, about 11 days earlier in Kinderhook, but ranged from more than a month earlier to being no different. 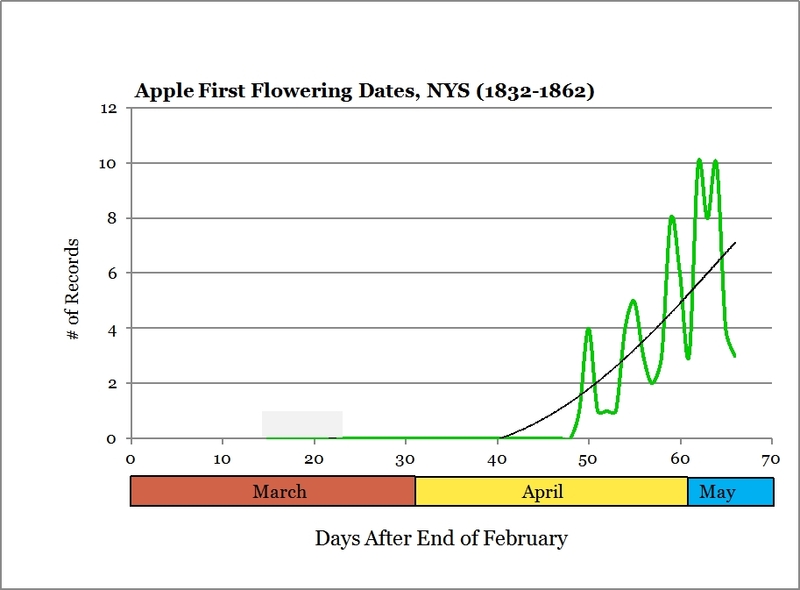 Apple flowering was only about 6 days advanced on average in Kinderhook and, in at least one year, occurred on the same date as in St. Lawrence County. What was a farmer in search of a calibration factor to do? Perhaps just enjoy the frogs. REGIONAL SUMMARIES OF THE HISTORICAL RECORDS COLUMBIA-DUTCHESS Herbs: Two-Leaved Bishop’s Cap observed blooming in New Lebanon, 1852. Spring Beauty. Yes, I just posted a Spring Beauty picture, but couldn’t resist this cluster. It’s currently in flower around the County. 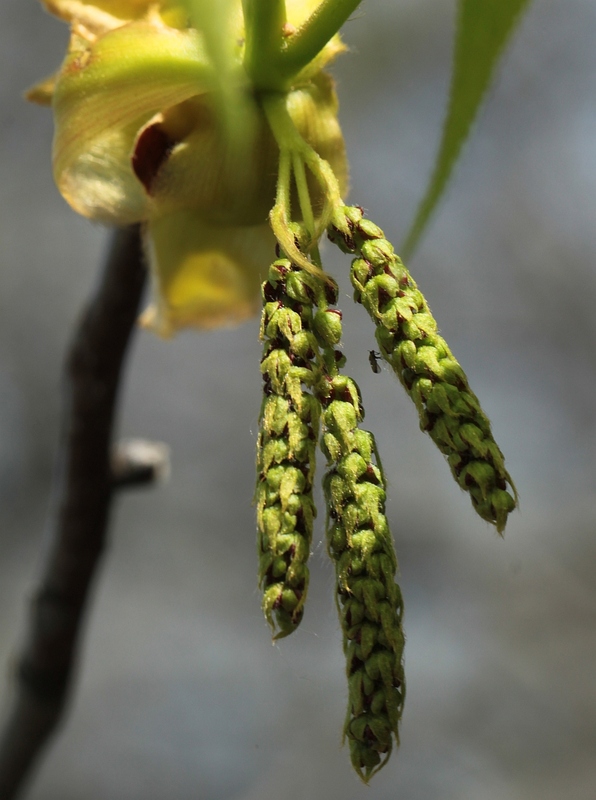 Woodies: In 1855, Sugar Maple displays its flowers in Spencertown. Reports of Shadbush bloomed in Chatham, 1852, and in Kinderhook, 1835. Birds: Chatham observed its year’s first Swallows in 1851; Fishkill Landing notes the same arrival in 1859. Agriculture: Blossomed Cherries reported in Hudson, 1835. In 1832, Peaches flowered in Red Hook. Bloomed Pear and Apple noted in Fishkill in 1858 and 1859, respectively. NYC Herbs: Geranium, Dandelion, Buttercup and Sorrel reported as blooming. Two reports note the flowering of Dwarf Ginseng. Woodies: Flowering Dogwood, American Elm, White Oak, Yellow Poplar, Sweet Viburnum, Basswood and Black Locust had produced leaves. Two reports of flowered Shadbush and Dogwood. Solo reports of bloomed Horse Chestnut and American Elm. Four reports of Lilac flowered. Birds: Two reports of first appeared Boblinks; Hummingbirds and Martins also had been observed. Other Critters: Queens reported the arrival of Butterflies in 1848. 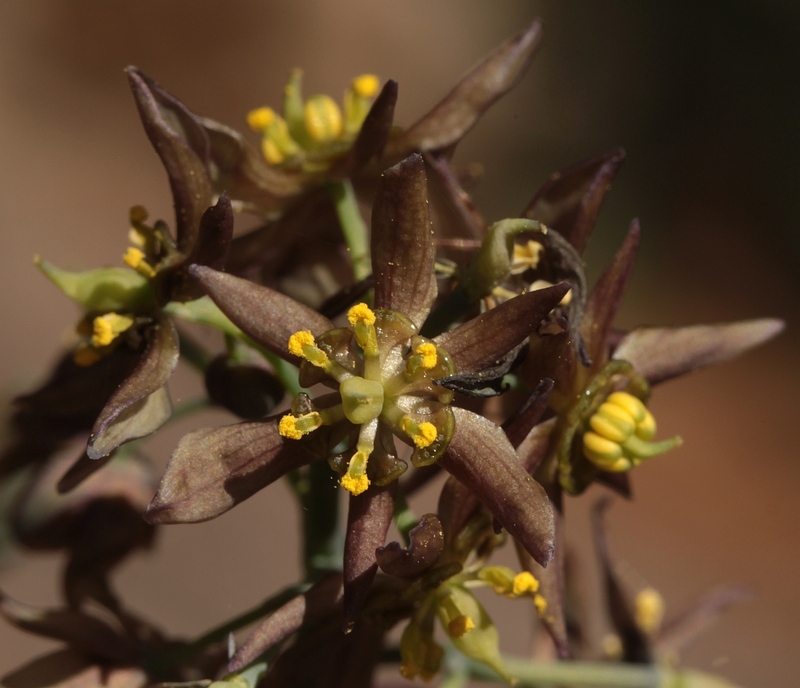 The somewhat somberly colored Blue Cohosh flower, also now flowering locally. Agriculture: Sevens reports of flowered Cherry; three of bloomed Gooseberry, Currant and Apple; coupled reports of blossomed Peaches and Plums. Strawberry and Flowering Almond also bloomed; a lone report of Cherry in leaf. CATSKILLS Agriculture: Kingston reports bloomed Currants in 1835. CAPITAL DISTRICT Woodies: Shadbush, Choke Cherry and Basswood reported as blooming. Birds: First Whippoorwills appeared in Greenwich, 1857. Agriculture: Reported Red Currant in leaf. 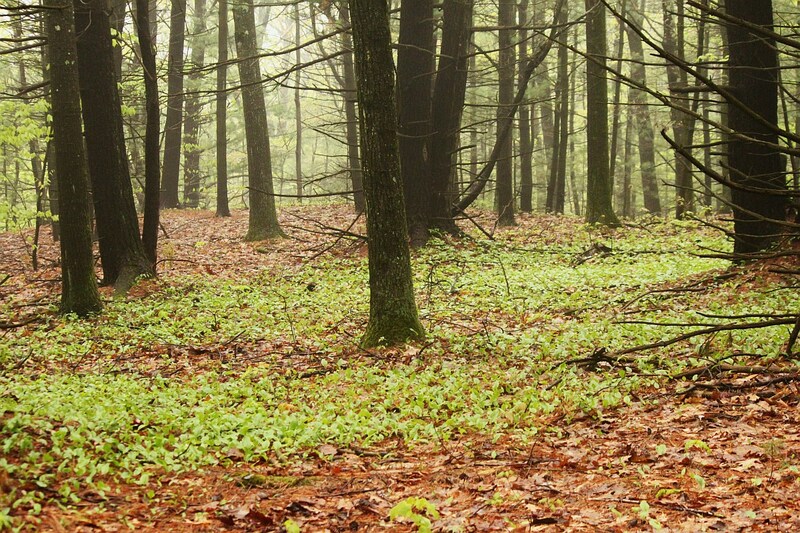 ADIRONDACKS Herbs: Jack in the Pulpit flowered and Wild Strawberries had produced leaves. 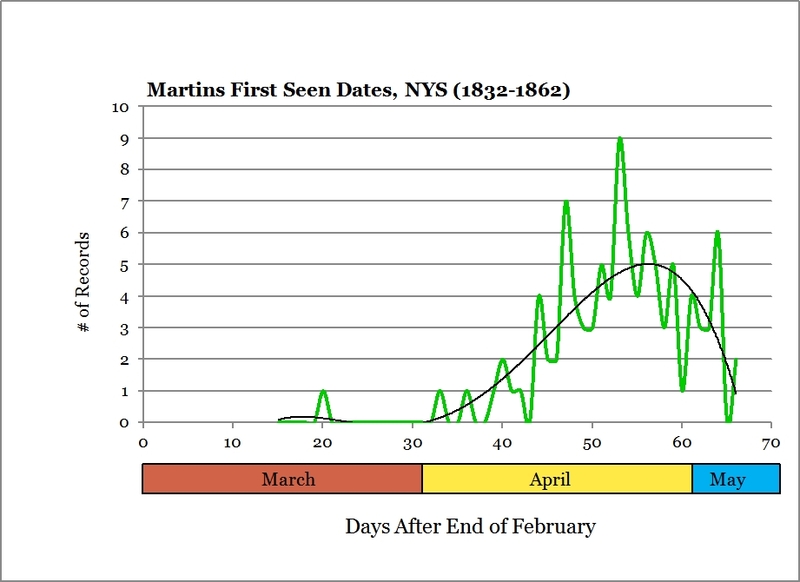 Birds: First Martins reported as arriving in Malone, 1843. Other Critters: Frogs were heard. Agriculture: Bloomed were Plums and Currants; Raspberry had leafed out. LEATHERSTOCKING Herbs: A solo report of blossomed Trout Lilly. Woodies: Reported flowering of Shadbush and Red Maple. Birds: Bobolinks noted as arriving in three reports; Martins also arrived. Agriculture: Asparagus was harvested and Gooseberry flowered. 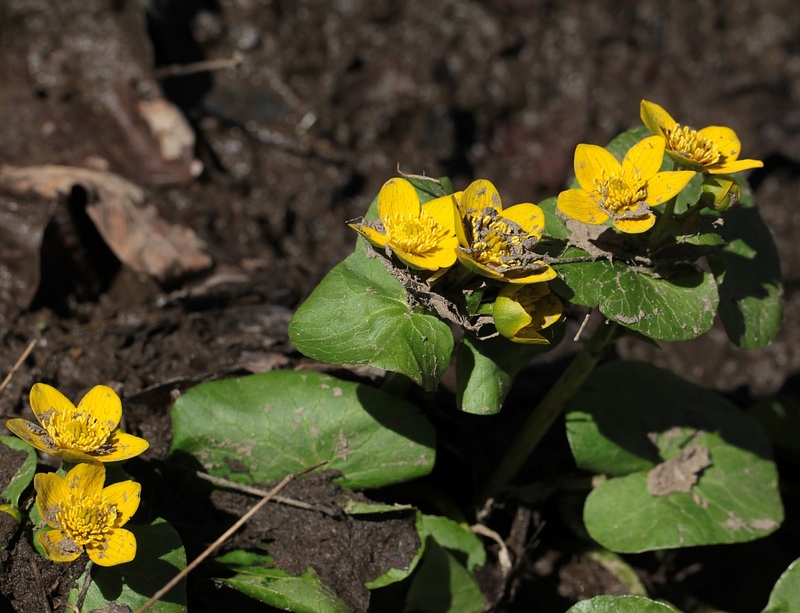 1000-ISLANDS Herbs: Two reports of flowered Marsh Marigold, Bellwort and Trillium. 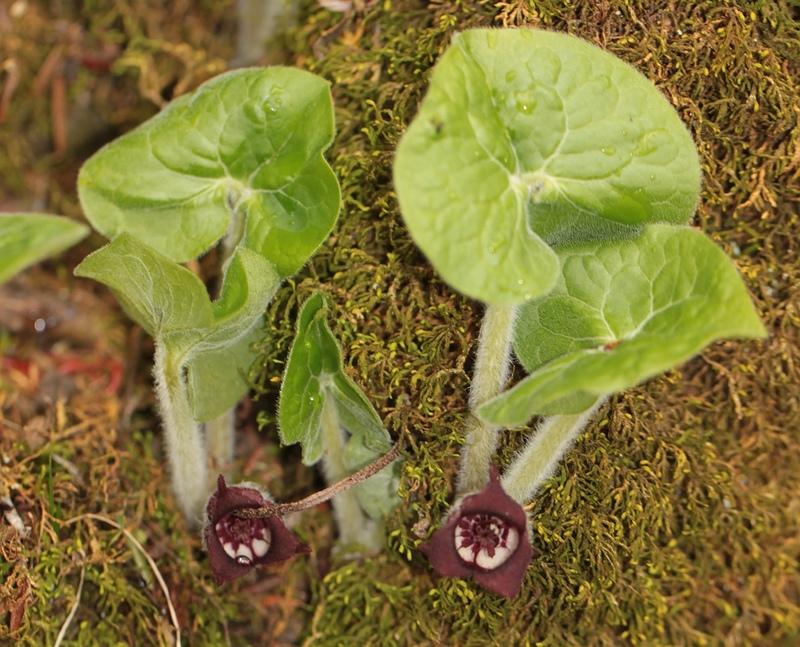 Canada Wild Ginger, Jack in the Pulpit, Dandelion, Phlox and Violets reported blooming. Woodies: Horse Chestnuts and Lilacs had leafed out. Blackberry had bloomed. Agriculture: Gooseberry and Peaches flowered. Canada Violet, a lime-stone lover. The front of the flower is white, the back purple. When the light comes from behind one gets this subtle pink effect. Currently in bloom hereabouts. FINGER LAKES Herbs: Reports of flowered Trout Lily, Tulip and Dandelion. Woodies: Red Mulberry, Sugar Maple, Elderberry and American Elm had put forth leaves. Flowered were Sugar Maples, Shadbush and Flowering Almond. Birds: Martins and Goldfinches appeared. Agriculture: Bloomed Strawberry and Pear reported; coupled reports of flowered Peaches. ROCHESTER Herbs: Specimens in bloom included Buttercup, Dandelion and Spring Beauty. Woodies: Mountain Ash, Shadbush and Sugar Maple had blossomed. Shadbush and Sugar Maple also reported as showing leaves. Birds: Reports of arrived Wrens and Bobolinks. Agriculture: Apricots, Currants, Apples and Strawberries all reported as in bloom; coupled reports of flowered Pear. NIAGARA FRONTIER Birds: Year’s first Bobolinks arrived in Lewiston in 1846. Agriculture: Bloomed were Apples, Peaches and Pears. 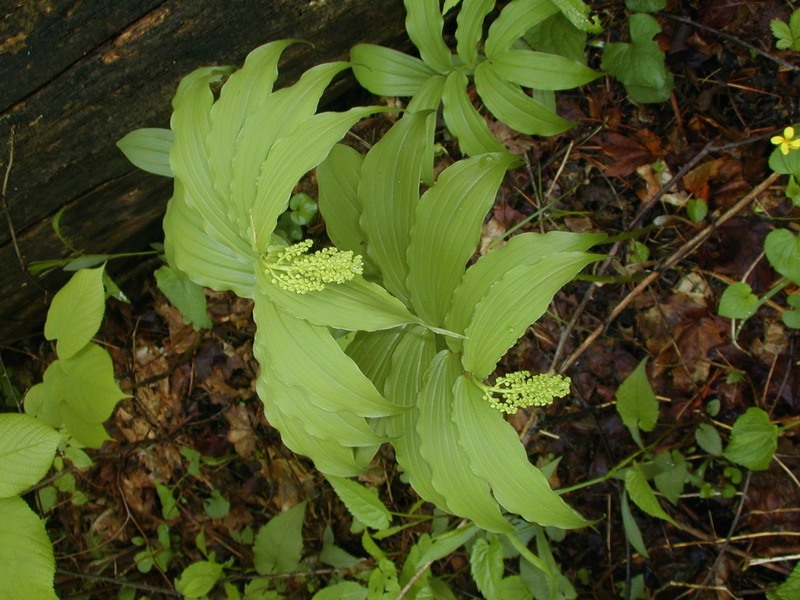 CHAUTAUQUA-ALLEGHANY Herbs: Baneberry, Blue Cohosh and Bellwort had bloomed. Agriculture: Reports of blossomed Apple trees. Progress of the Seasons Journal: 6 May, 1832-1862. Louis Aggassiz Fuertes’ Barn Swallow portrait from Elon Howard Eaton’s Birds of New York. On this date in 1835, Barn Swallows arrived in Kinderhook. Over the past month, they have been showing up in the historical reports of many other locations as well. These ample data brought up some questions: Where do they arrive first? How do their arrival patterns 150 years ago compare to their modern arrivals? We can try to answer those questions through a series of maps. The eight images below are each paired maps showing where Barn Swallows were first recorded in our historical data on various dates and where they have been recorded during the past ten years or so (modern data are courtesy of the web site Journey North). I have also prepared a pdf version of the same set of maps which might be easier to flip through. Here are my observations on these maps, but please let me know what you think! Both ‘yesterday’ and today, Barn Swallows first arrive around the Finger Lakes and south of Lake Ontario. During the second and third weeks of April, they begin arriving further west, and in the Hudson Valley and, perhaps, along the Northern Tier. During the fourth week of April arrivals continue in the same areas, with Northern Tier arrivals intensifying. During May, arrivals peter out, with some of the last arrivals apparently happening in and around Herkimer County on the western edge of the Adirondacks. This general pattern seems to be reflected in the ebird data (see below), although those aren’t first arrivals per se and the resolution is coarser. However, those data do suggest that there is no lack of modern NYC Barn Swallows, only a lack of people who reported their first arrival to Journey North. The patterns may say as much about people as birds. A map showing all the counties which reported Barn Swallow arrivals in our historical data. interesting parallels to the All dates / All years map (see right) from our historical data. 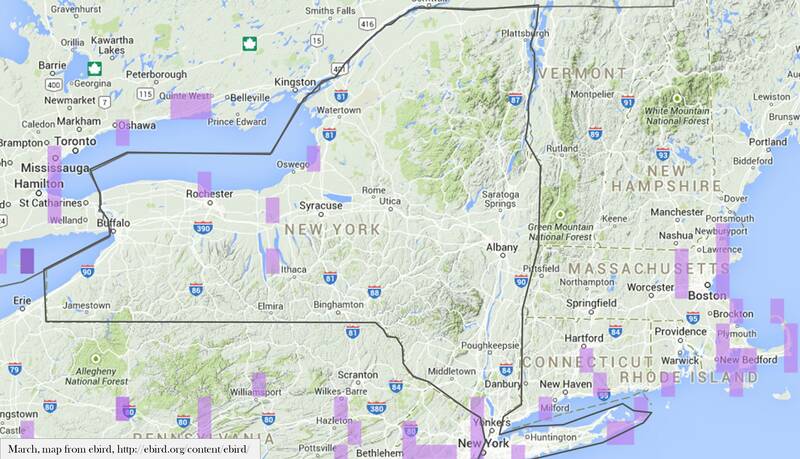 Specifically, reports are few from the Adirondacks and points east of that in the State. The Southern Tier counties also seem to be lightly settled by Barn Swallows. While apparently not currently absent from the Catskills, the lack of historical records seems to be mirrored at least by a lower density of modern returns. Barn Swallows are not considered birds of densely wooded areas, and so these patterns may reflect historical and current forest densities. I certainly can’t claim that there have been no changes in Barn Swallow distribution and arrival over the centuries, but the similarities seem more immediately striking than the differences. Want to know when Barn Swallows (or other birds) arrived to your County in the 1800s? 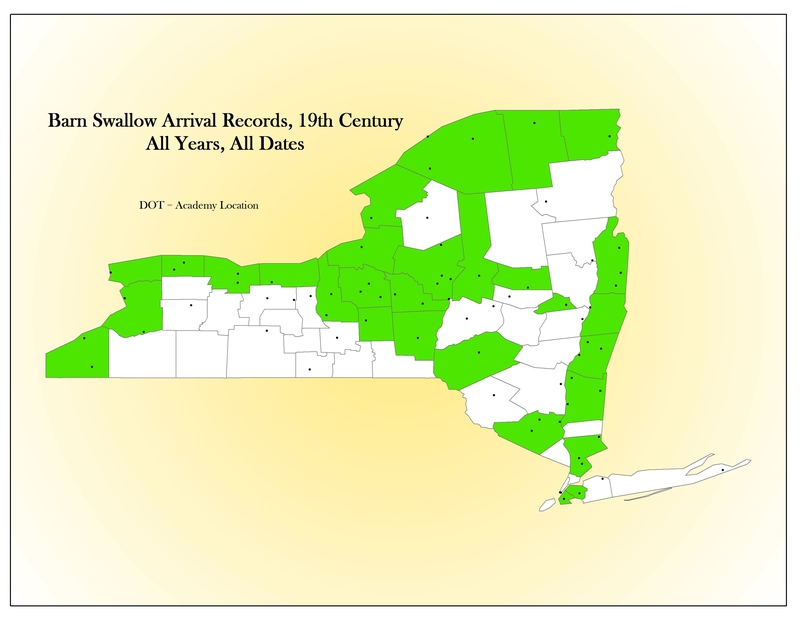 Check out our NYS historical data browser. (Please be patient, the page takes a while to load.) Stay tuned for a similar set of maps to show what the Robins have to tell us. 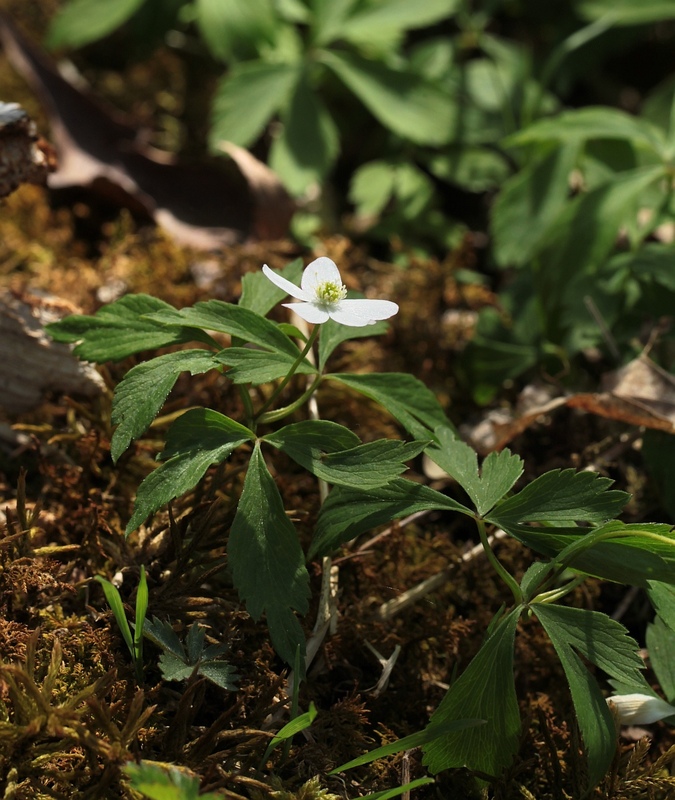 REGIONAL SUMMARIES OF THE HISTORICAL RECORDS COLUMBIA-DUTCHESS Herbs: Reported blooming of Rue Anemone (also known as Windflower) in New Lebanon in 1853. Woodies: Fishkill Landing reported the leafing out of Tulip Poplar and Horse Chestnut in 1857 and blooming Lilac in 1859. Flowering Almond observed in Spencertown in 1856; Maple flowered in Kinderhook in 1838 and New Lebanon noted several species of Honeysuckle blossoming in 1853. Birds: Year’s first Barn Swallow appeared in Kinderhook in 1835. Agriculture: In 1832, flowering Apples were reported in Poughkeepsie and Hudson noted Cherries in bloom; New Lebanon notes 1853’s first blooming Currants. Apple and Pear reported in leaf in Fishkill Landing in 1857; in 1856, Spencertown observed Apples showing leaves. 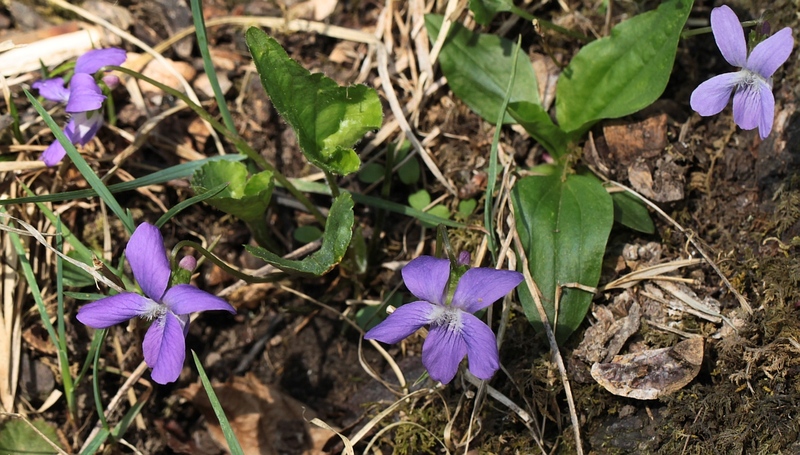 NYC Herbs: Two reports of blooming Violets. Other flowering specimens include Arabis, Broom Flower, Columbine, Celandine, Corchorus, Dandelion, Spotted Geranium, Laburnum, May Apple, Sorrel and Meadow Pink. Woodies: Dogwood blossomed in five reports; two observed flowering Horse Chestnut. Also bloomed includes Lilac, Snowball, Spicebush, Shadbush, Magnolia and Flowering Almond. Noted in leaf was Basswood in two observations; Shadbush, Sycamore and Locust had also leafed out. Spring Beauty are beginning to bloom. The ant may be getting a nectar nip. This is a shot from earlier this week. Birds: First appeared Wrens, Whippoorwills, Meadowlarks, Passenger Pigeons and Martins. Other Critters: First observed Grasshopper and Butterflies. Agriculture: Nine reports of bloomed Peaches, five of flowered Currants. Four reports of Cherries bloomed, three of blossomed Gooseberry and Plum. Coupled reports of flowered Apple; Apricot, Pear and Strawberry were also flowered. Blackberry had put forth leaves and the Rye harvest had commenced. CATSKILLS Woodies: Lilac was reported in full bloom; Trembling Aspen observed in leaf. Agriculture: Blossomed Strawberry, Peach and Pear. CAPITAL DISTRICT Woodies: Sugar Maple showing leaves. Agriculture: Noted in leaf was Apple, Pear and Currant. Blossoming Currant and Apple also observed. 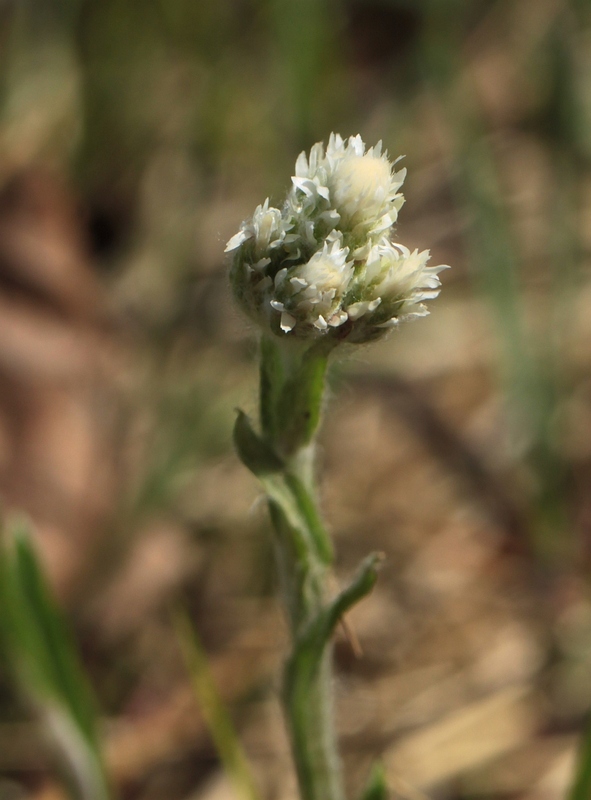 ADIRONDACKS Herbs: Flowered specimens include Daffodils, Hyacinth, Toothwort and Bluet. Woodies: Both Red Maple and Sugar Maple had put forth leaves. Agriculture: Plums observed flowered in three reports. 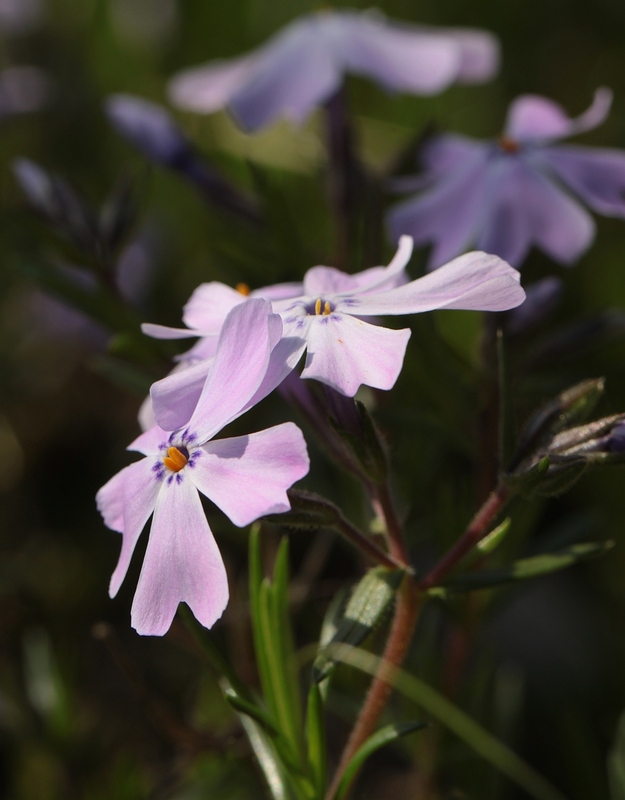 LEATHERSTOCKING Herbs: Spring Beauty, Daffodil and Yellow Violet noted as flowering. Birds: First Bobolinks arrived in Oxford. Agriculture: Three reports of Currants and Pear blossomed, two of bloomed Cherry. 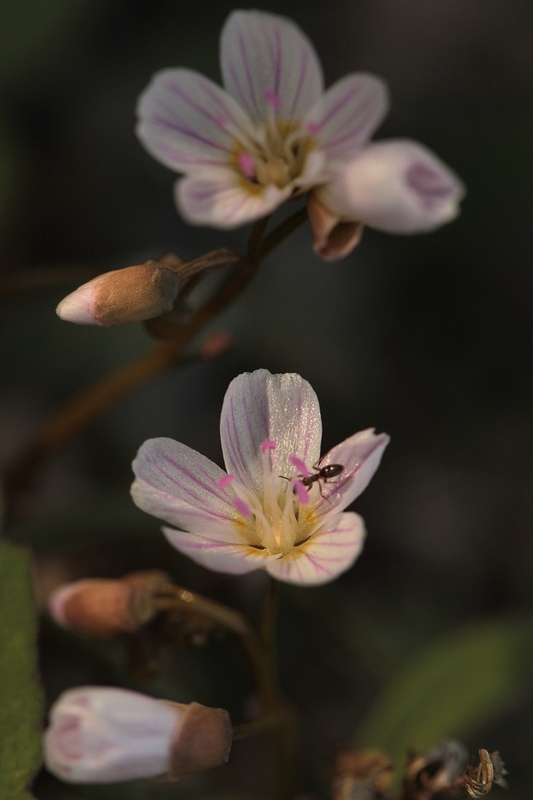 1000-ISLANDS Herbs: Chickweed, Andromeda, Early Saxifrage, Trillium and Veronica had bloomed. Paired reports of Violets and Dandelion blossomed. Woodies: Reported in bloom was Choke Cherry, Beech, Red Maple and Leatherwood. Snowball had leafed out on this day. Agriculture: Plums blossomed in four reports, three noted flowering of Currants and two for bloomed Cherry. Strawberry was also reported as flowering. FINGER LAKES Herbs: Wild Columbine noted as in leaf. Woodies: Hophornbeam and Aspen were reported as in leaf. Three reports of bloomed Shadbush. Birds: Two reports of first arrived Swallows; Martins had also appeared. Other Critters: Agriculture: Noted in two reports was the first Ploughing, flowered Apricot and Peach blossomed. 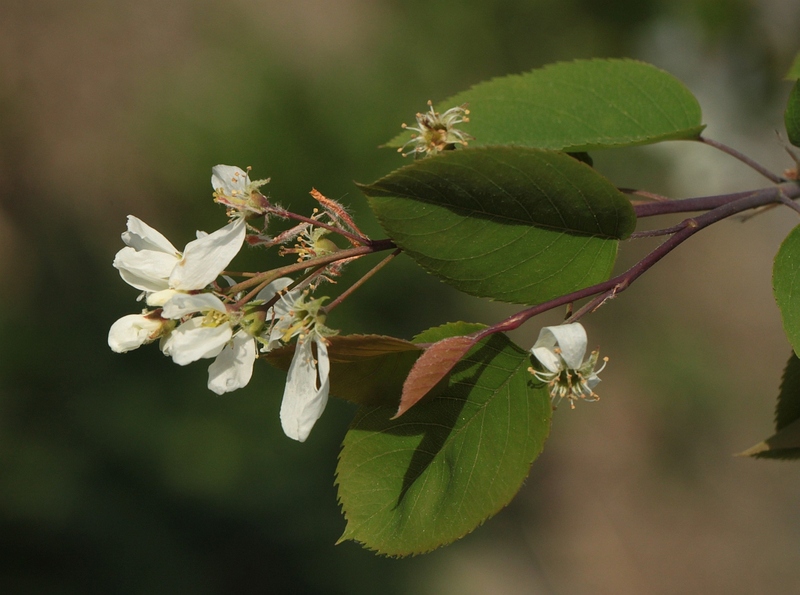 Also flowered was Pear, Currant and Cherry; Currant and Pear also noted as in leaf. 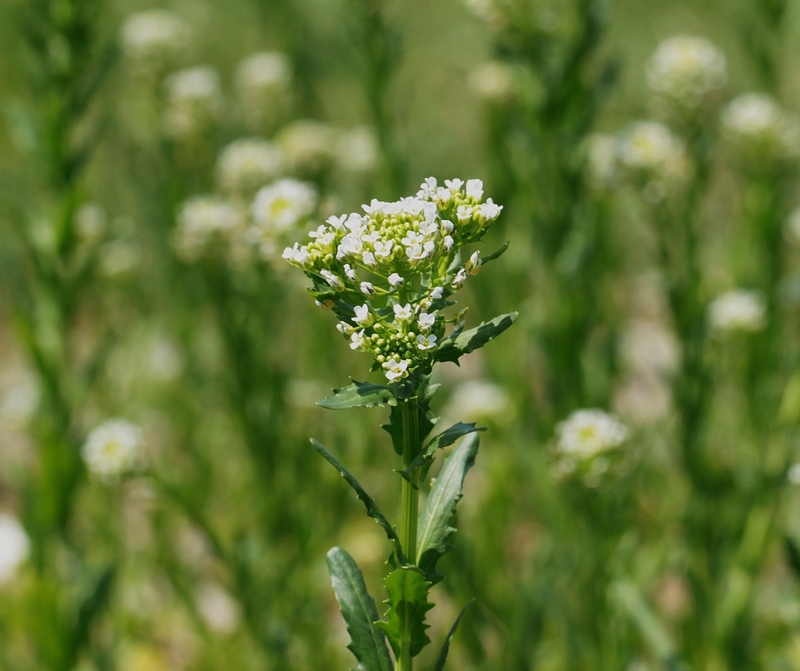 ROCHESTER Herbs: Spring Cress, Sedge, Blue Cohosh, Three-Leaf Goldthread, Barren Strawberry, Dandelion, Toothwart, Field Horsetail, Geranium, Bloodroot, Canadian Yew, Globe Flower and Violets all reported flowering on this day. Woodies: Shadbush and Aspen reported as bloomed. Specimens in leaf included Yellow Buckeye, Ohio Buckeye and Honeysuckle. 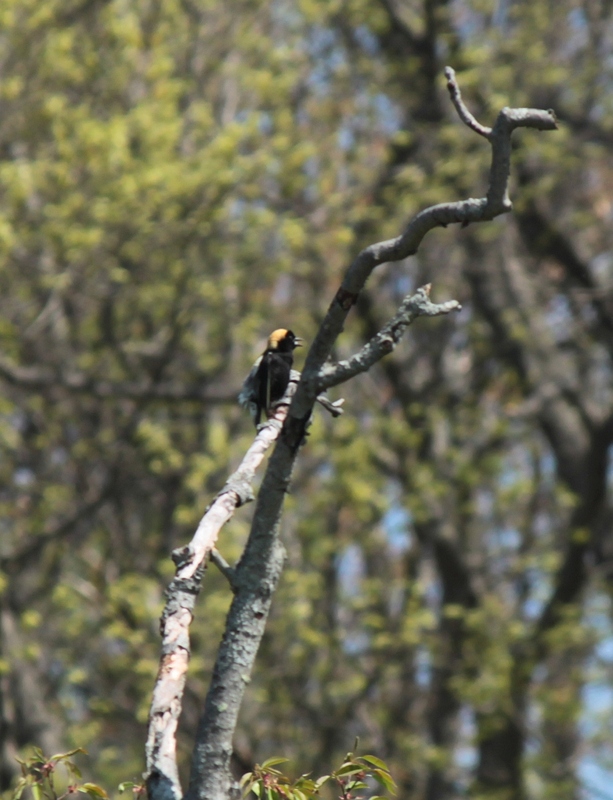 Birds: Bobolink first appeared in two reports; Swallows had also arrived. Agriculture: Two reports of bloomed Currants and Blackberry; Apple, Cherry, Pear and Strawberry also flowered. Pear and Currant had also showed leaves on this day. 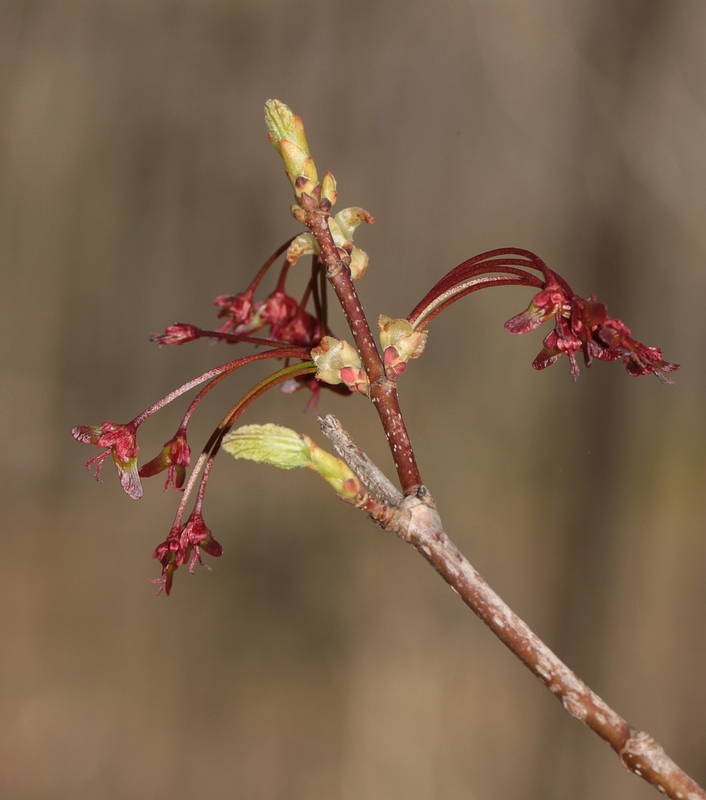 NIAGARA FRONTIER Woodies: Red Maple noted as blooming. Birds: Year’s first Barn Swallows observed in Lewiston, 1837. Agriculture: Cherry and Plum reported as in bloom. The Bluebells currently in flower in the native plant garden outside of our office. 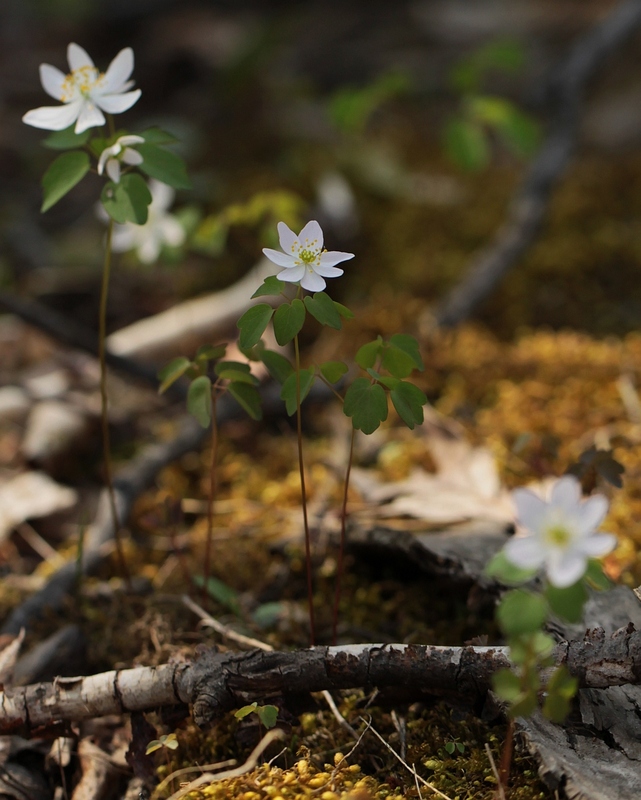 We recently came across quite a few growing wild in woods in Gallatin, although those were not yet blooming. CHAUTAUQUA-ALLEGHANY Herbs: Bellwort, Phlox, Wood Betony and Virginia Bluebell reported as flowering. Woodies: Noted as bloomed was Sweet Cherry, Willow, Honeysuckle and Hawthorn. Agriculture: Reports of flowered Apples, Currants and Pears. Progress of the Seasons Journal: 5 May, 1832-1862. Pine Elfins were flying at the Greenport Town Park with past weekend and Bluebells in bloom in the wild plant garden, else nothing new has come to our attention, which only means we haven’t been out enough. Any of you have news to report? Here is the historical phenology report from the ‘Progress of the Seasons Project’ for 5 May. 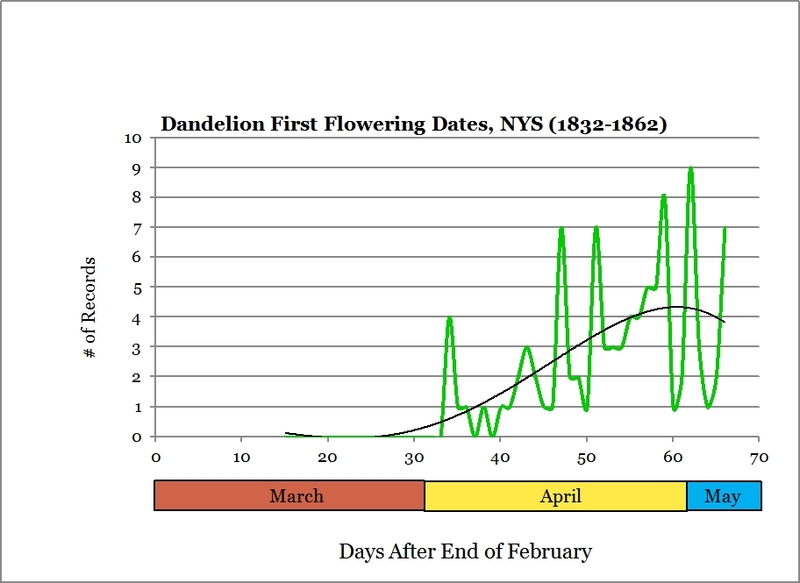 Before explaining the bad pun, I’d like to announce that our NYS Historical Phenology Data Browser is now working a lot better. Interested in finding out what happened on this day near where you live or, perhaps, tapping into all of our bird records? Then check out our historical data browser. A pair of Wild Ginger plants with their distinctive flowers. If these were growing in leaf litter, the flowers might be out of view. Although this picture is from a previous year, these flowers are now about. Today marks the first appearance of Wild Ginger in our historical data. This plant is not a close relative of our culinary Ginger, although it has a somewhat similar smell and has, historically, been used as a seasoning. It has also been employed as a medicine for what ails you (but not, actually, as a source of Ginger Ale), especially for gut and kidney problems and sometimes as a topical antibiotic or a poultice. Like most medicines, it’s apparently possible to get too much of a good thing, and many sources now counsel against consuming Wild Ginger. 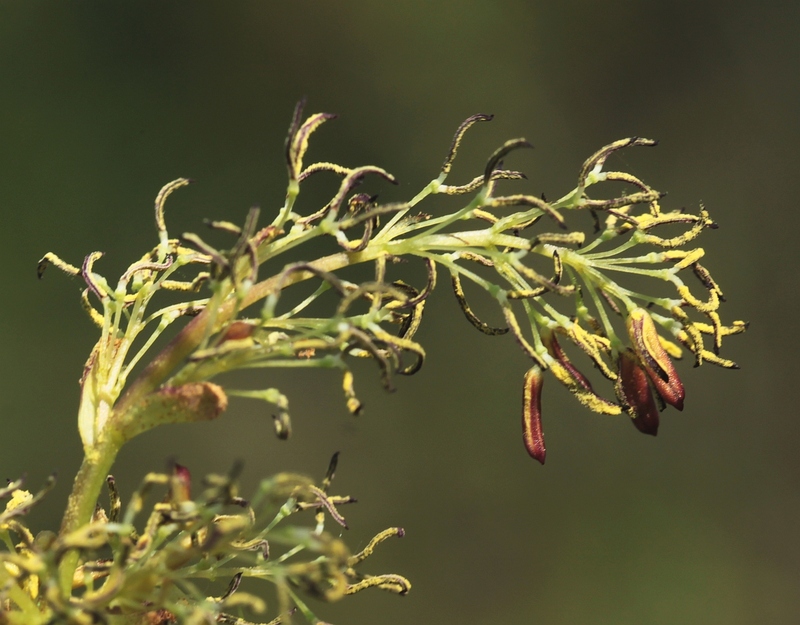 Reportedly, plants with similar chemistry have been tied to accidental poisonings. At the least, I would say that those considering regular ingestion should do their homework. Wild Ginger leaves, do you see the “colt’s foot”? 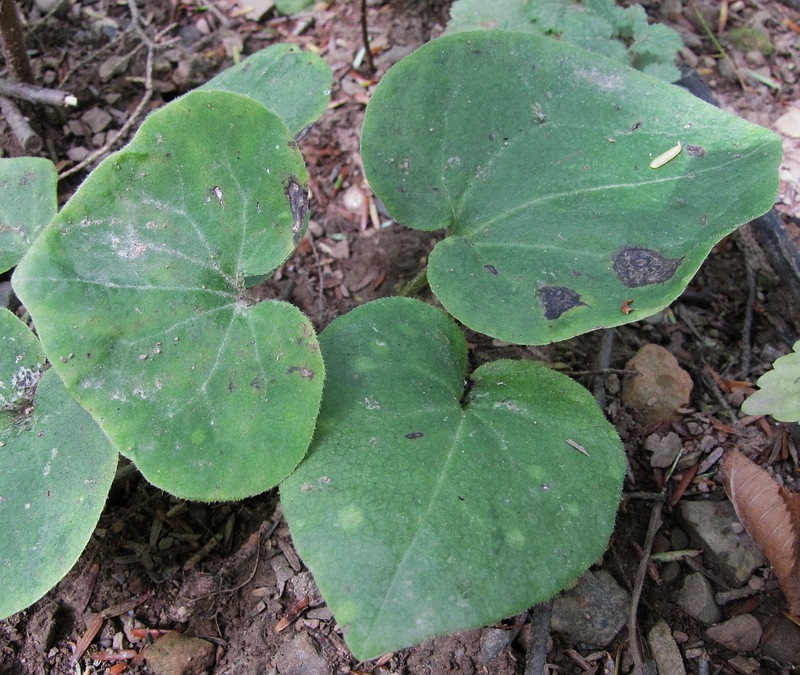 When Jane Colden was writing the flora of her Hudson Valley home, she described Wild Ginger under the name of Coltsfoot, a name more commonly applied to that yellow-flowered European import. I would guess they both derive their name from the shape of the leaf, although one farmer’s wife just pointed out to me the similarity in shape between the flower buds of true Coltsfoot and the rounded hoof of a young calf. 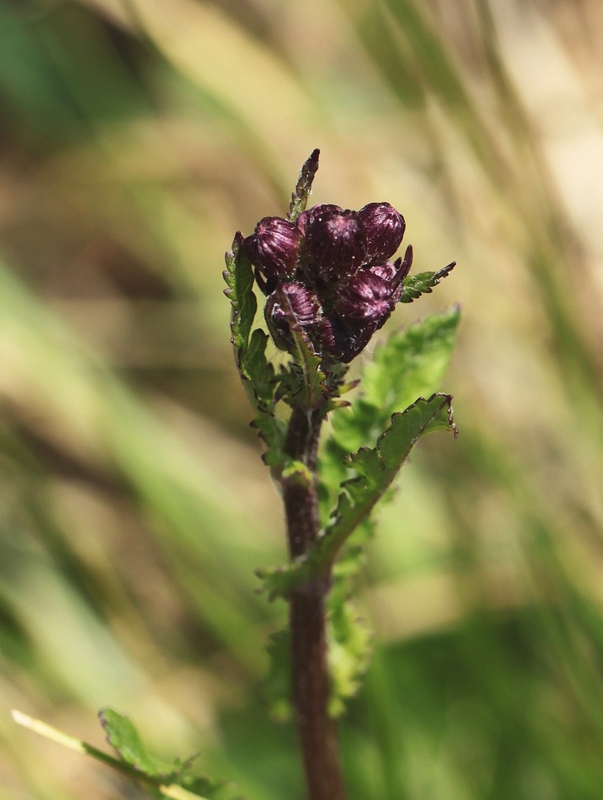 Wild Ginger has also occasionally gone by the name of Snakeroot. I’ve not found records of its use against snake bites, so perhaps, its long, trailing rhizomes were enough to earn it this name. 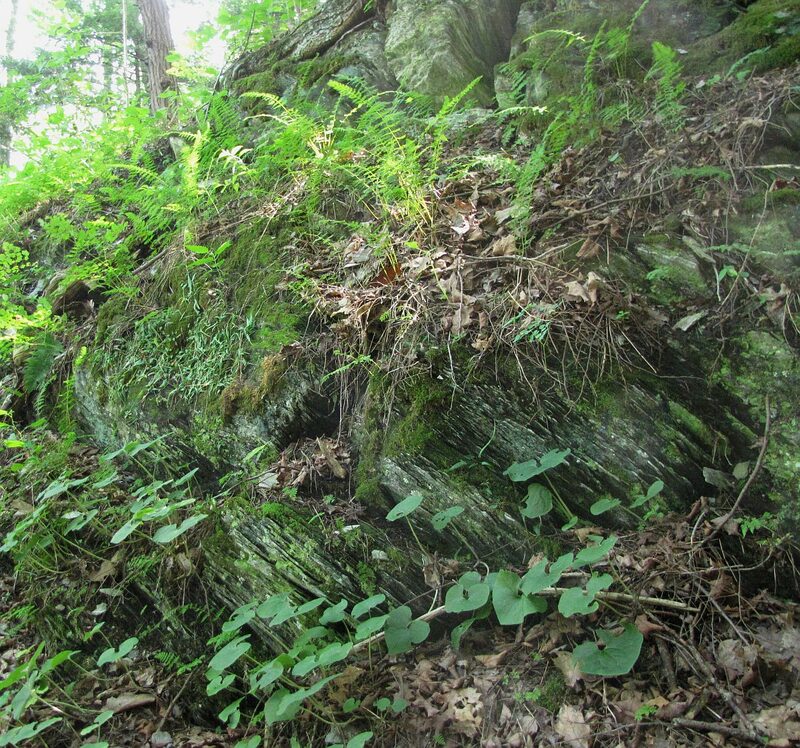 A limey rock cliff with Wild Ginger along the base and Walking Fern on the rocks. This may not be limestone per se but rather a limey shale. Anybody who knows Wild Ginger, knows its flowers. They are borne at ground level and colored a dead-meat red. A logical conclusion was that they were fly-pollinated, but recent research has suggested that this is, at least, not common. In fact, it seems most Wild Ginger flowers employ no pollinator at all, and are self-pollinated. Their seeds, on the other hand, do work in collaboration with the insect world: dispersal apparently happens when ants, attracted to the fat-rich seed caps, take the seeds back home where they later germinate. Finally, coming across Wild Ginger in the woods gives us an immediate ‘heads-up’ that we should look for other rare plants. 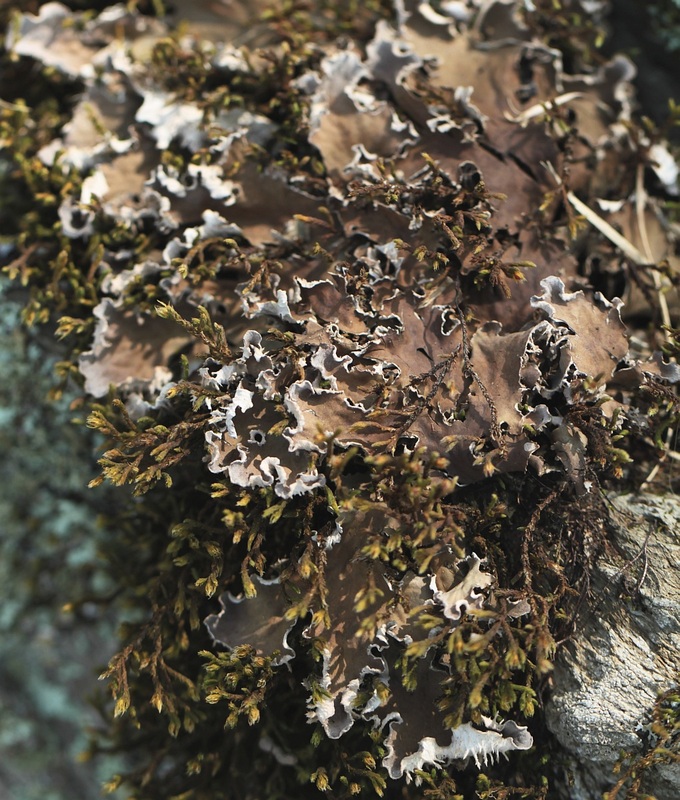 That’s because this species is a so-called “calcophile”, meaning a plant that likes to grow in limestony areas. Where one finds Wild Ginger, one should also look out for the likes of Walking Fern and Canada Violet. Herbs: Bloodroot bloomed in Spencertown, on May 5th, 1855. Further South, Amenia reported its first flowering of Arrow-Leaved Violets in 1849. In 1852, Marsh Marigold bloomed on this day in New Lebanon and leaves of Dandelion appeared in Chatham. 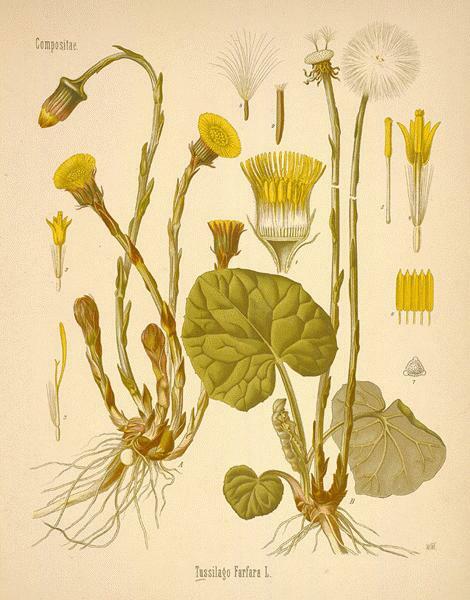 The early-flowering European plant that we today call Coltsfoot. It is commonly seen along the edges of dirt roads. From: Köhler, F.E., Medizinal Pflanzen, vol. 1: t. 6 (1887) [drawing by W. Müller]; see http://www.plantillustrations.org for this and more such images. Woodies: Blossoming Sugar Maple seen in Chatham in 1852. 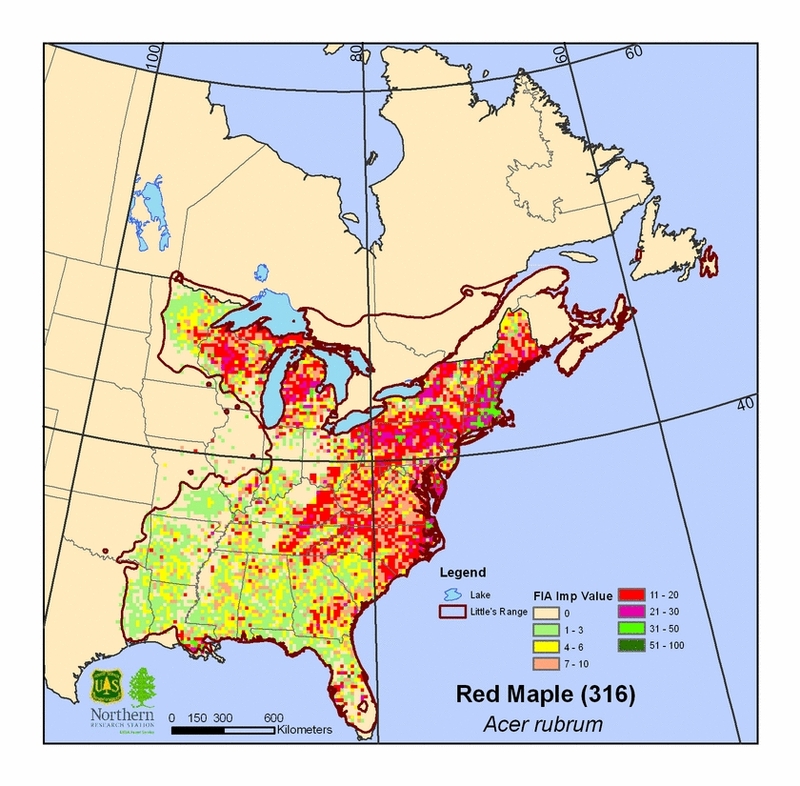 New Lebanon hosted the leafing out of Red Maples in 1853. Spicebush reported as showing flowers and Blackberry its leaves in Spencertown, 1855. In 1832, Shadbush bloomed in Hudson. Agriculture: Kinderhook noted blooming Pear and Currant in 1845 and 1832, respectively. Blossomed Plums reached Red Hook in 1832. In 1853, Gooseberry flowers were seen in New Lebanon. 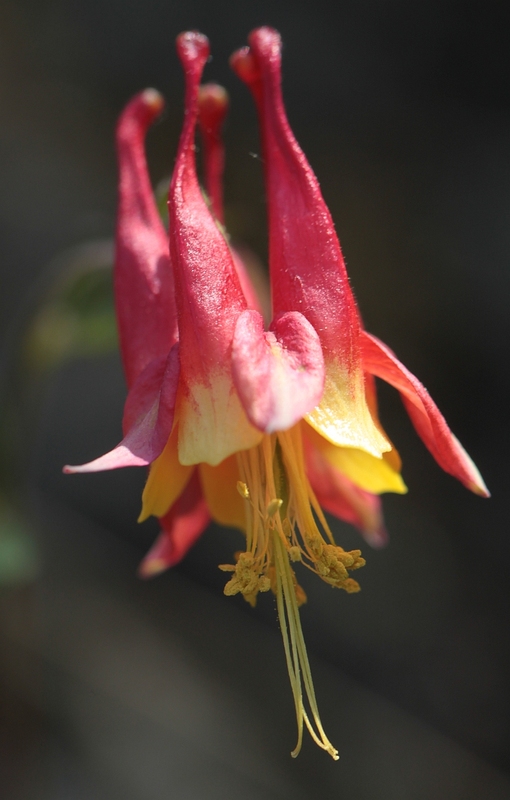 Herbs: Three reports of blooming Columbine on this date. Other first flowering specimens included Jack-in-the-Pulpit, Poppy, Broad-Leaf Toothwart, Blue Cohosh, Narrow-Leaved Plantain, Dandelion in two reports, Buttercup, Trillium, Bellwort, Veronica and Violets. Woodies: Eight reports of flowering Lilac, three of bloomed Horse Chestnut. Two observations of Dogwood and Sugar Maple blooming. Also in bloom were Alder, Flowering Almond, Wild Black Cherry, Spicebush and Shadbush. 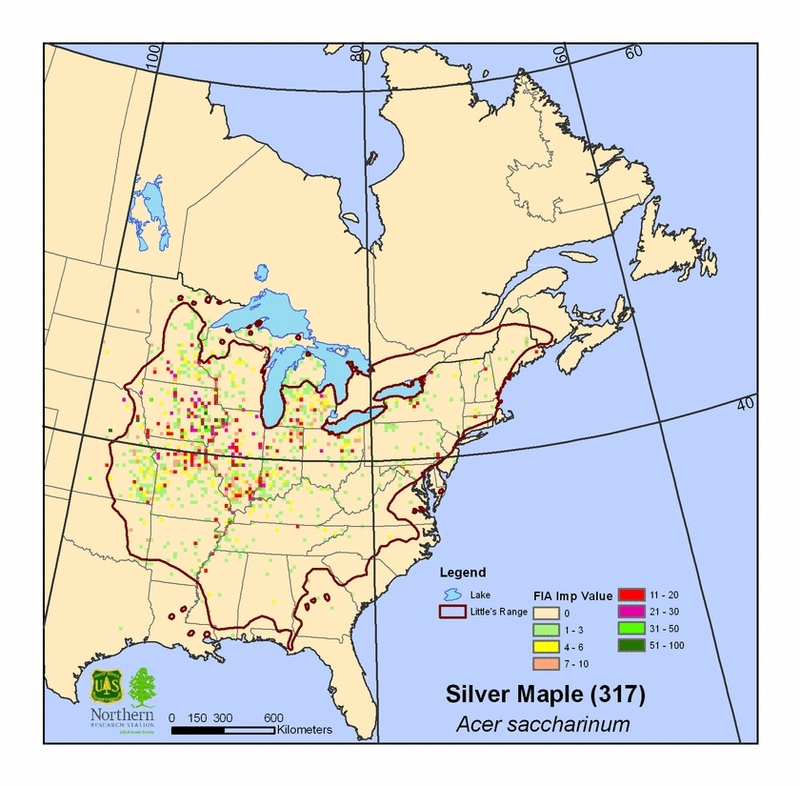 Reported in leaf were Sugar Maple, Red Maple, Horse Chestnut, Wild Black Cherry, White Oak and American Elm. 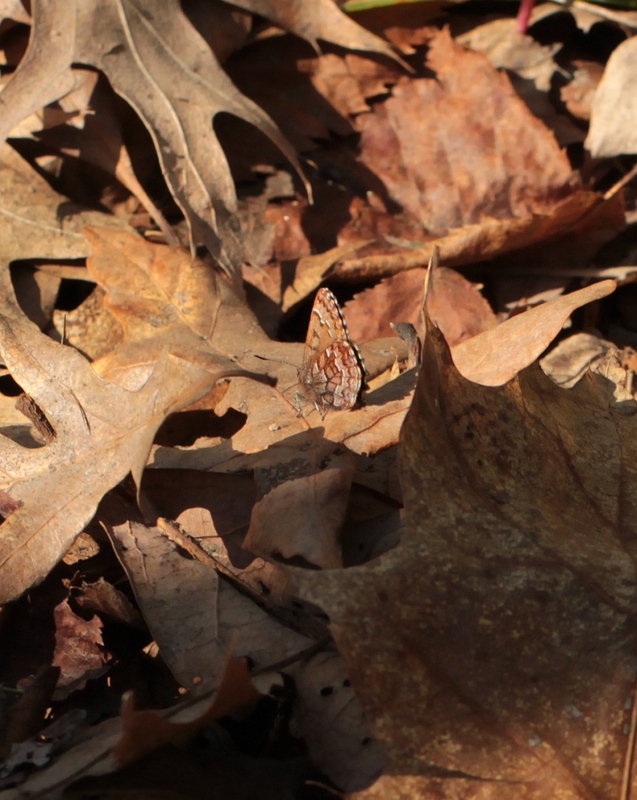 A Pine Elfin flying this past weekend near Hudson. It ‘knows’ the colors it’s going to find if it flies at this time of year! Birds: Whippoorwills arrived; two reports of first observed Swallows. Other Critters: Toads first seen in New York City, 1854. Agriculture: Two reported Apple and Pear showing leaves. Six reports of flowered Plum, five of Cherry. Two reports of bloomed Currants, Peaches and Pears. 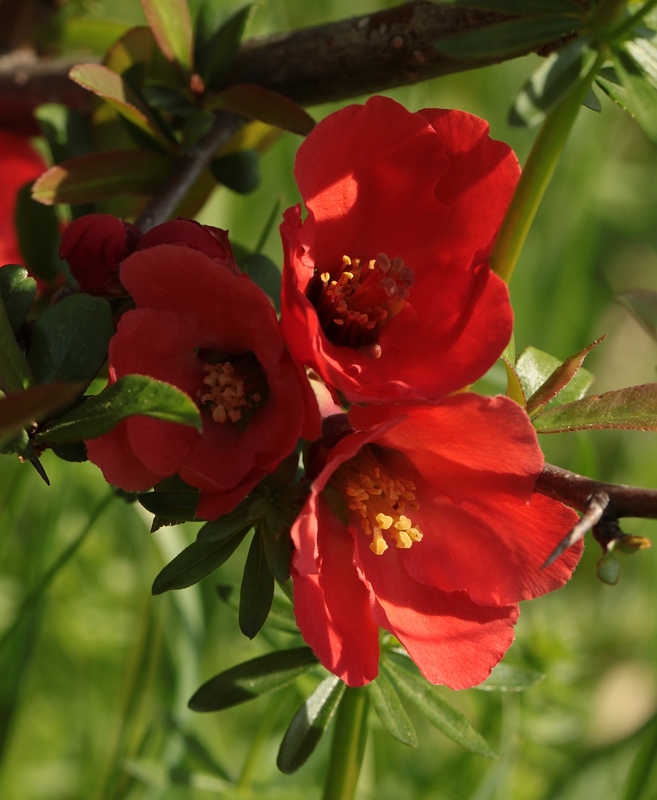 Flowering Almond and Quinces also blossomed. 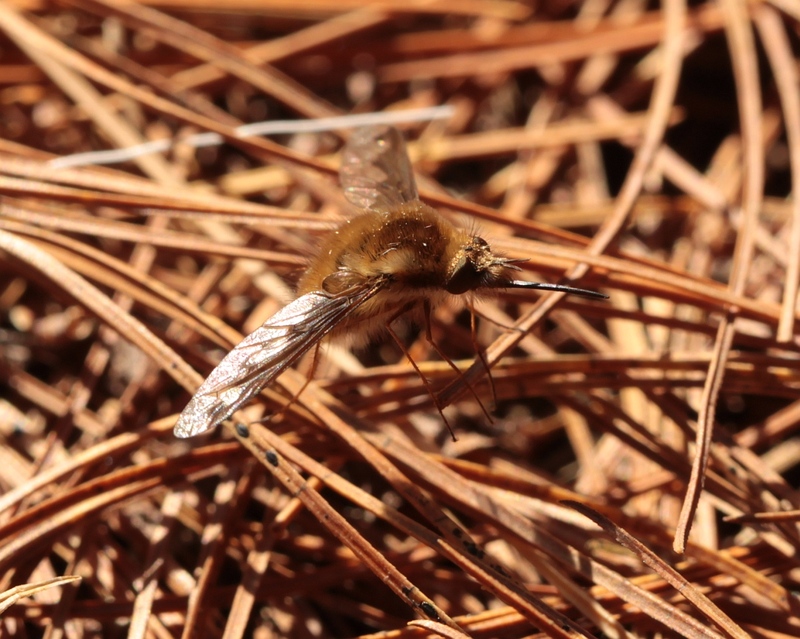 The odd but endearing Bee Fly; out in small droves this past weekend. They are pollinators of some of our Spring flowers. 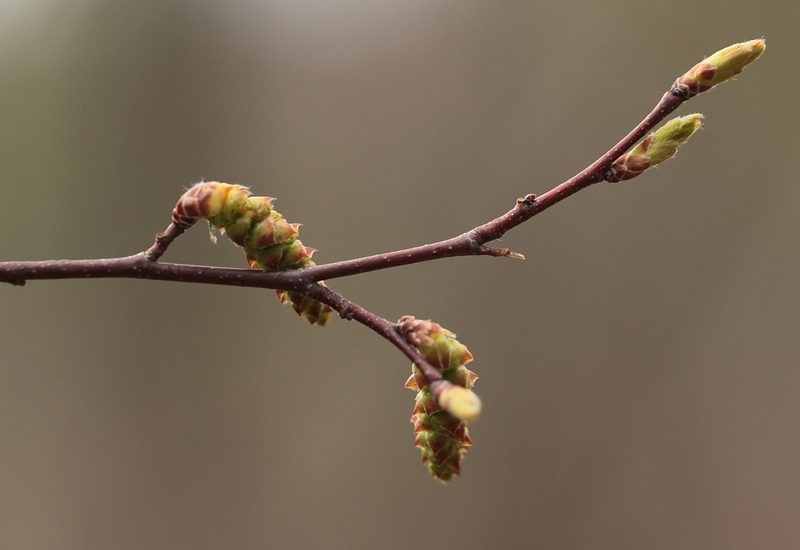 Woodies: In 1802, Alder, Birch and Black Oak were reported as flowering in Ulster County. Agriculture: Cherry and Plum reported as in bloom. Woodies: Wild Black Cherry observed in bloom. 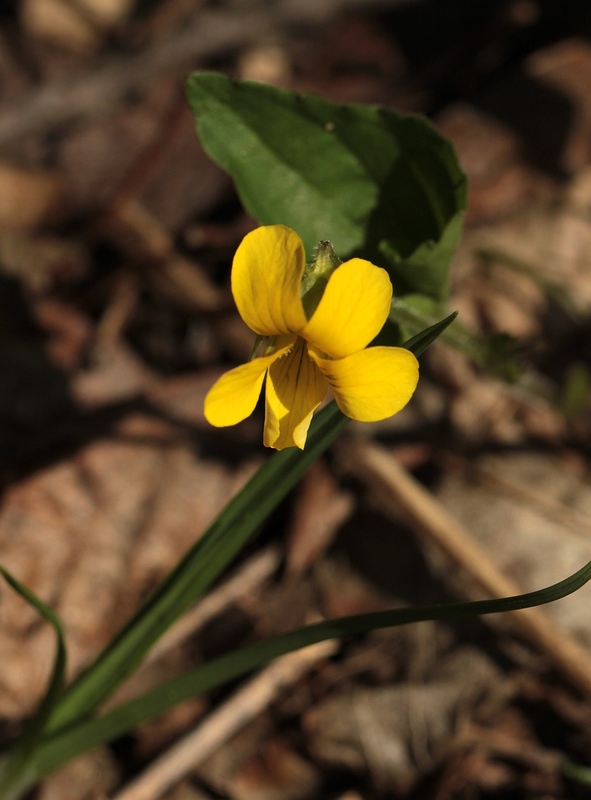 Yellow Wood Violet is now in bloom. Herbs: Observed Violets and Dandelion in blossom. Woodies: Shadbush first flowered on this day in Lowville, 1846. Agriculture: Strawberry, Plum and Currant noted as blooming. Currant had also leaved. Herbs: Bloodroot and Blue Violet had flowered. Woodies: Observed blooming was Shadbush and Sugar Maple. Birds: Bobolinks and Barn Swallows noted as arriving in two reports. Agriculture: Two reports of blossomed Currants. 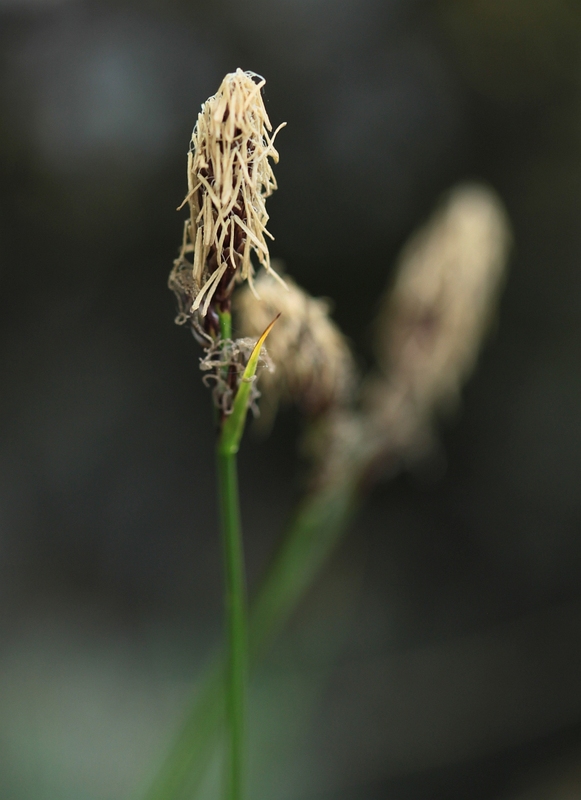 Herbs: Sedge, Spring Beauty, Blue Cohosh and Violet reported as in bloom. 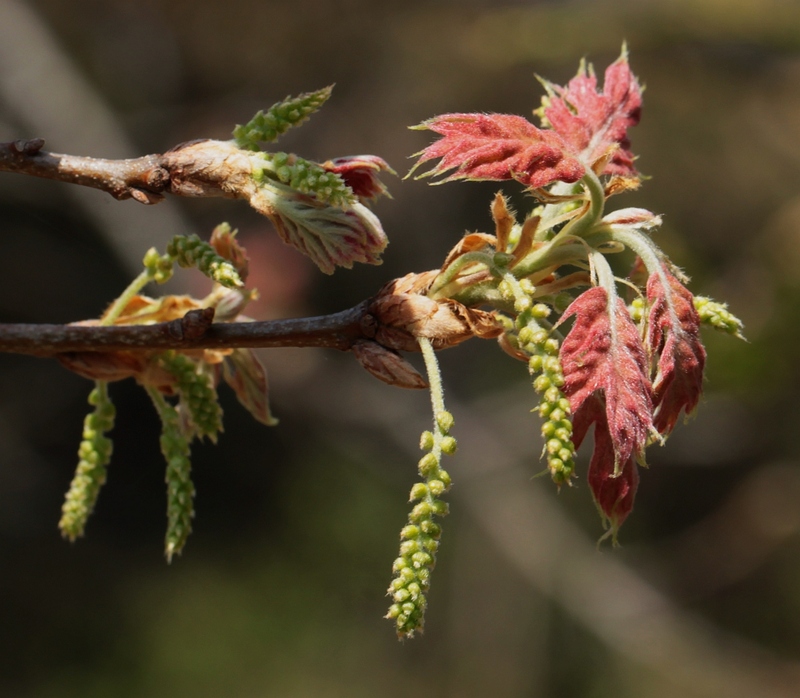 Woodies: Red Maple, Horse Chestnut and Flowering Almond had put forth leaves. Birds: Two reports of arriving Swallows. Other Critters: First heard Frogs. Agriculture: Bloomed Apples and Currants. Herbs: Two reports of Bloodroot bloomed, one of Bloodroot leaved. Trout Lily, Hepatica, Dandelion, and Wild Strawberry observed showing leaves. Woodies: Blossomed Shadbush and Sugar Maple. Birds: Arrival of Martins in two reports; Baltimore Orioles and Chimney Swallows also observed. Agriculture: Three reports of flowering Strawberries. Currants reported in bloom twice. Apples, Plums, Cherries and Peaches also bloomed. 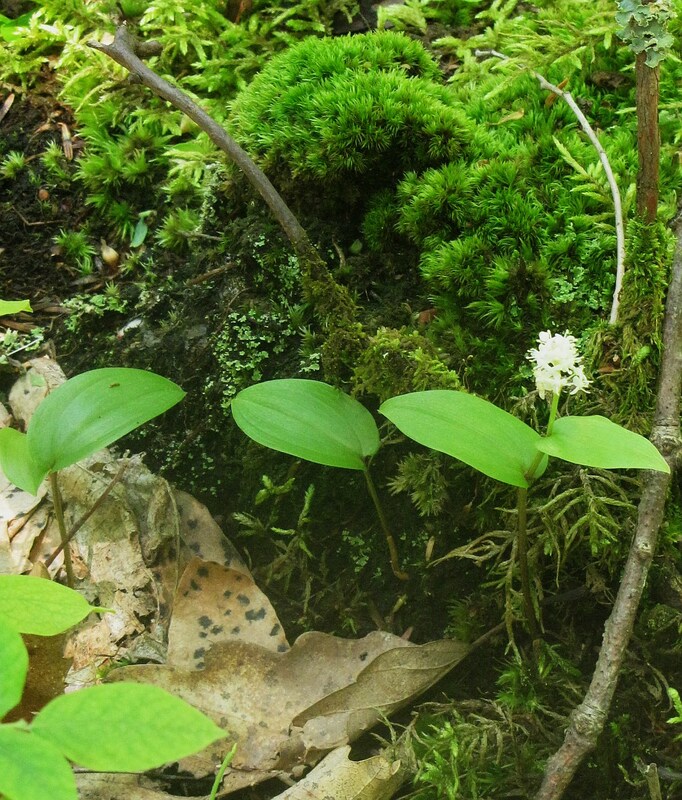 Herbs: Canada Wild Ginger, Bristle-leaved Sedge, Golden Saxifrage, Trillium, Violet and Hepatica observed flowering. Woodies: Elderberry and American Beech noted as in bloom; Shadbush had showed leaves. Rue Anemone is now dancing in the breeze. Birds: First Barn Swallows appeared. Agriculture: Peaches, Pears, Currants, Cherries and Apricots reported blooming; a couple of reports of Apple in leaf. Woodies: Lilac and Shadbush reported as in bloom. Birds: In 1844 and 1847, the Whippoorwills were first heard on this date in Lewiston. Agriculture: Bloomed Apples, Pear, Strawberry and Currants. Herbs: Flowering Dandelion and Jack-in-the-Pulpit reported. 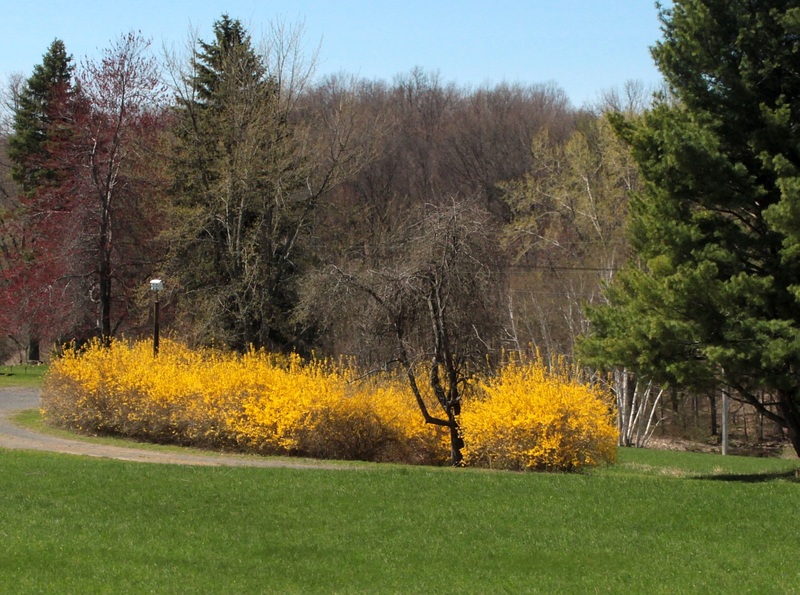 Woodies: Fredonia witnessed its first of the year blooming Shadbush in 1847. Agriculture: Red Raspberry and Gooseberry seen in leaf; Plum, Peach and Currant flowered. Progress of the Seasons Journal: 2-4 May, 1832-1862. Oven Birds settling down in Greenport Conservation Area. Rue Anemone flowering abundantly. Oriole in New Lebanon. Shadbush starting to flower in our hedges. Hobblebush flowering just across the border in Mt. Washington, MA. And this just in – first Bobolinks arrive in Harlemville. Here is the historical phenology report from the ‘Progress of the Seasons Project’ for 2-4 May. 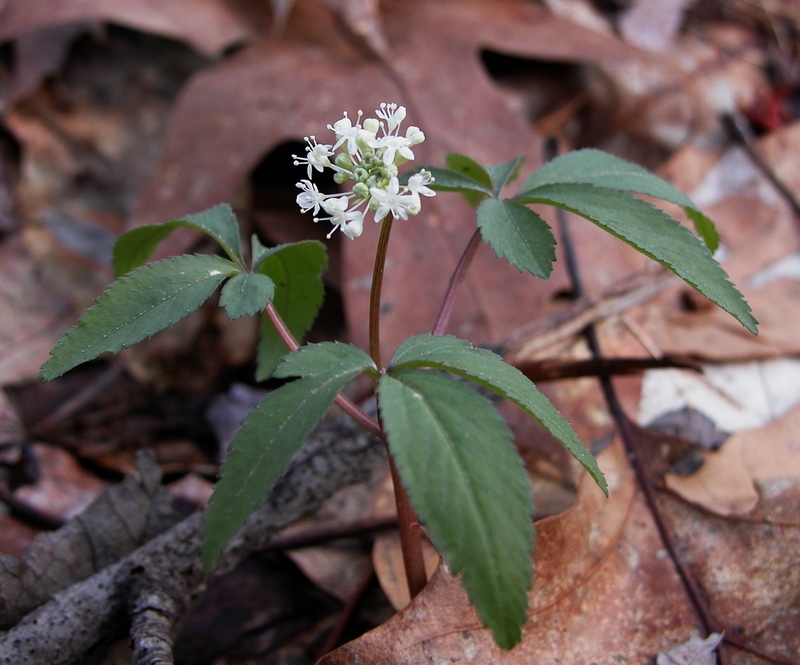 Before you all run out and search for American Ginseng (Panax quinquefolius) in flower, the Ginseng (or “Ginsing” in an obsolete spelling) being referred to in the headline is Dwarf Ginseng (Panax trifolius). As the scientific names suggest, these are close relatives distinguished by their leaf characteristics. Although “quinquefolius” means five-leaved and “trifolius” means three-leaved, this is not the reliable leaf distinction. Instead, one should look for leaflet stalks in the American, and unstalked (or “sessile”) leaflets in the Dwarf. American Ginseng, note the long petioles on each of the five leaflets. The two species are apparently also distinct in their chemistry. While American Ginseng has long been highly sought-after for its medicinal properties, Dwarf Ginseng has apparently not ‘shared the honors’. However, these are ‘honors’ best not to have – American Ginseng is considered globally rare, while Dwarf Ginseng, if not common, is, at least, not rare. During my stay in Canada all the merchants…received orders…to send over a quantity of Ginseng….The roots were accordingly collected in Canada with all possible haste. The Indians especially travelled about the country in order to collect as much as they could and to sell it to the merchants in Montreal. ….French farmers were not able during that time to hire a single Indian, as they commonly do to help them in the harvest. Many people feared lest by continuing for several successive years to collect these plants without leaving one or two in each place to propagate their species, there would soon be very few of them left, which I think is very likely to happen, for by all accounts they formerly grew in abundance round Montreal, but at present there is not a single plant of it to be found, so effectually have they been rooted out. Dwarf Ginseng in flower a few years back. In our historical data, this is just starting to flower in the State’s southern reaches. 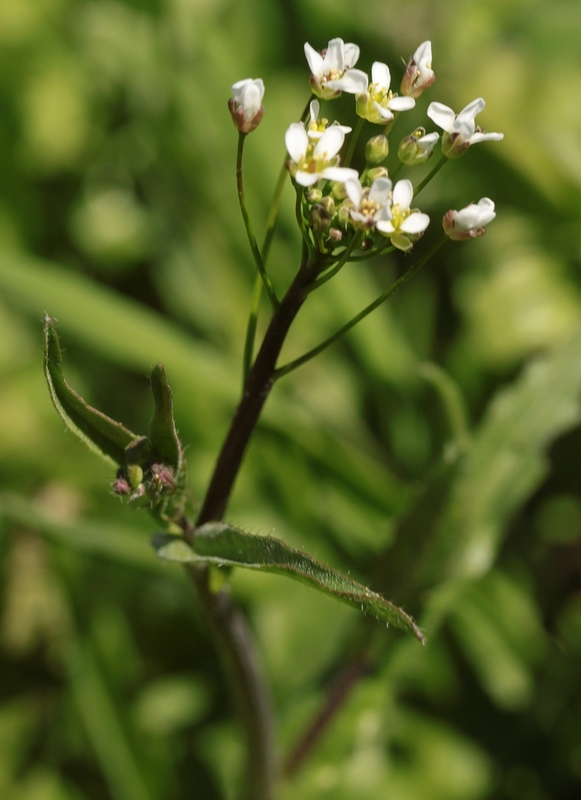 While some medicinal properties were attributed to the Dwarf species, these plants were apparently not widely accepted on the Chinese markets and hence did not become part of this early international trade. 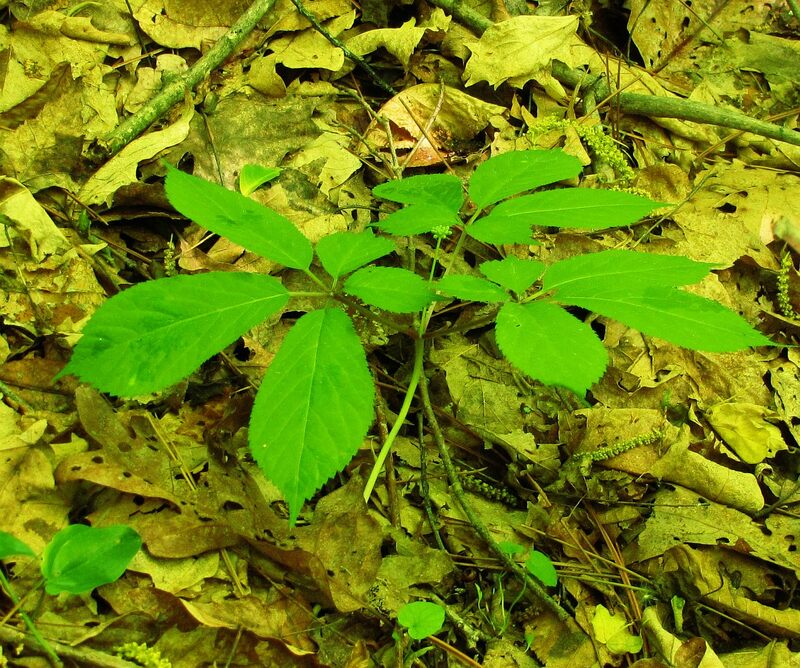 Apparently, the depredations on American Ginseng have continued to the present day, although some are attempting to cultivate it. Among the woody plants, Hobblebush, with its low, ‘hobbling’ branches and prominent flowers has started to bloom. Hobblebush, a Viburnum, is a close, wild relative of the Old World Snowball Bush (also a Viburnum), which is also reported to be flowering. Judging by the abundance of records, Snowball Bush took up some of the garden and hedge space later given over to Forsythia. One can still find it for sale as “Old Fashion Snowball Viburnum”. Hickories (Carya) and their relatives the Walnut and Butternut (two species in the genus Juglans) are beginning to bloom. Although not heralded much in the historical or current records, some people tap Walnut trees to make Walnut syrup. 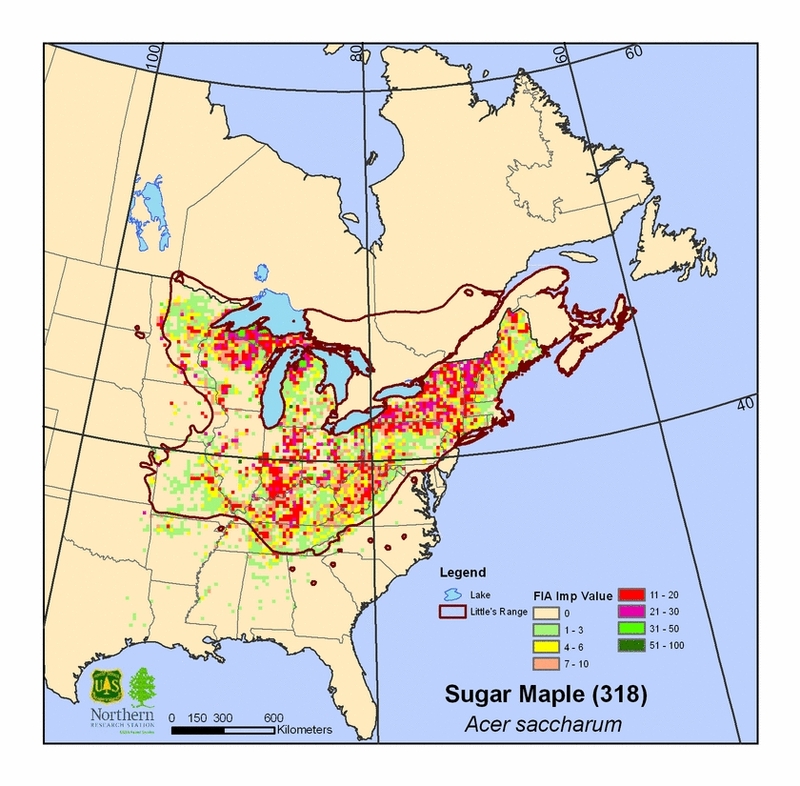 The sap’s sugar content is about the same as that of Sugar Maple, but the total sap production is much less, which is probably one reason that this run goes largely unmarked. “Hickory Syrup” is not made from Hickory sap but rather by flavoring a sugar syrup with Hickory bark (it seems to be an acquired taste). 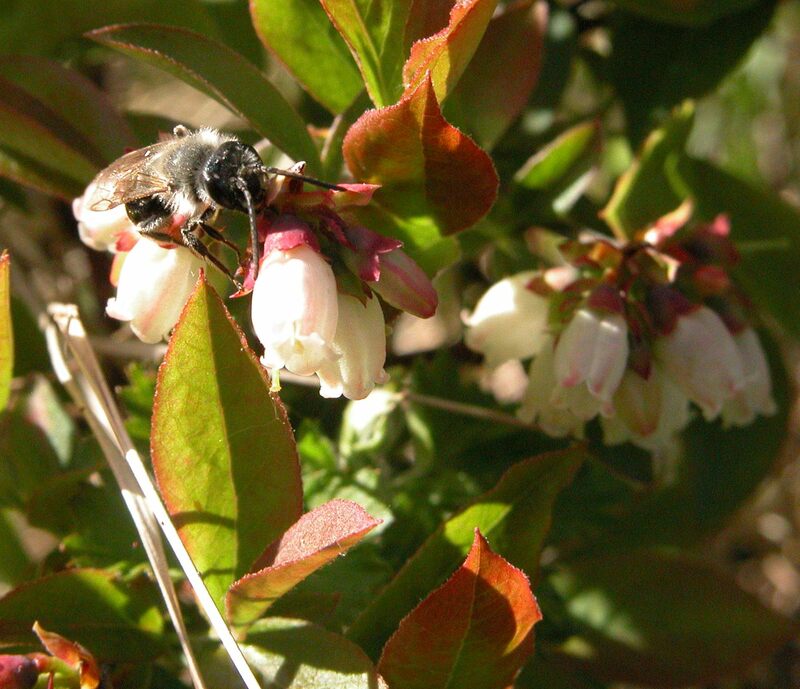 A native bee (looks like an Andrena to me, but I might be wrong) visits the flowers of of Blueberry or Huckleberry. 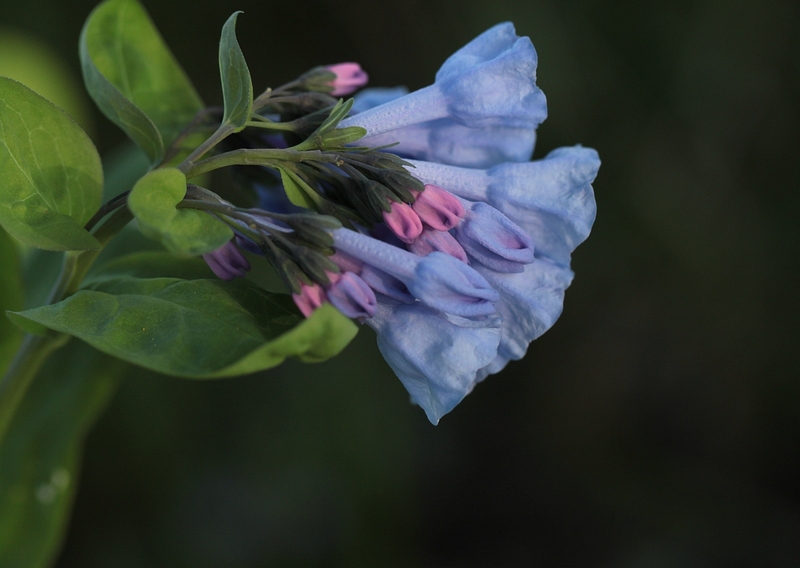 Also showing its petals is what Torrey called “Dwarf Blue Huckleberry”. “Huckleberry” is a common name that encompasses several, related species – this may not be Huckleberry Finn’s namesake, but it’s at least a close cousin. Most likely, this historical record refers to a species of what we today call Blueberry (i.e., a Vaccinium). The relatively early flowers of this group are appealing to several of our native bees and, indeed, Bumblebees are much more adept at pollinating this group of plants than the European Honey Bee, evidently because they can buzz their wings at just the right frequency to convince the Blueberries to release their pollen. Herbs: Trout Lily (1851), Trailing Arbutus (1852), Trillium (1853), Violet (1853) and Marsh Marigold (1853) bloomed in New Lebanon on these dates. 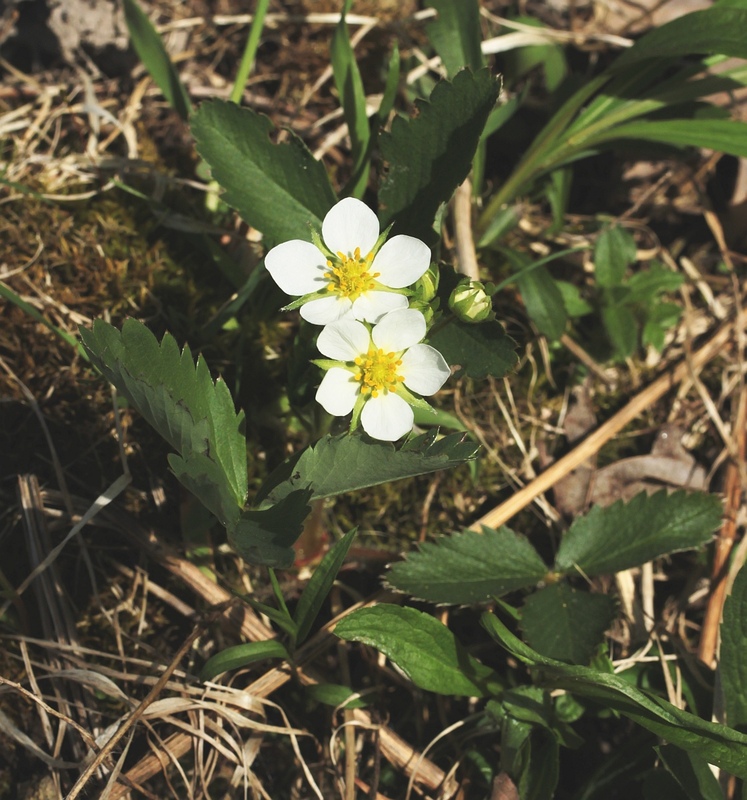 Wild Strawberry flowered in Chatham in 1852. Meadow Rue and Marsh Marigold in bloom in Amenia, reported in 1849. A pine forest with a Canada Mayflower carpet. 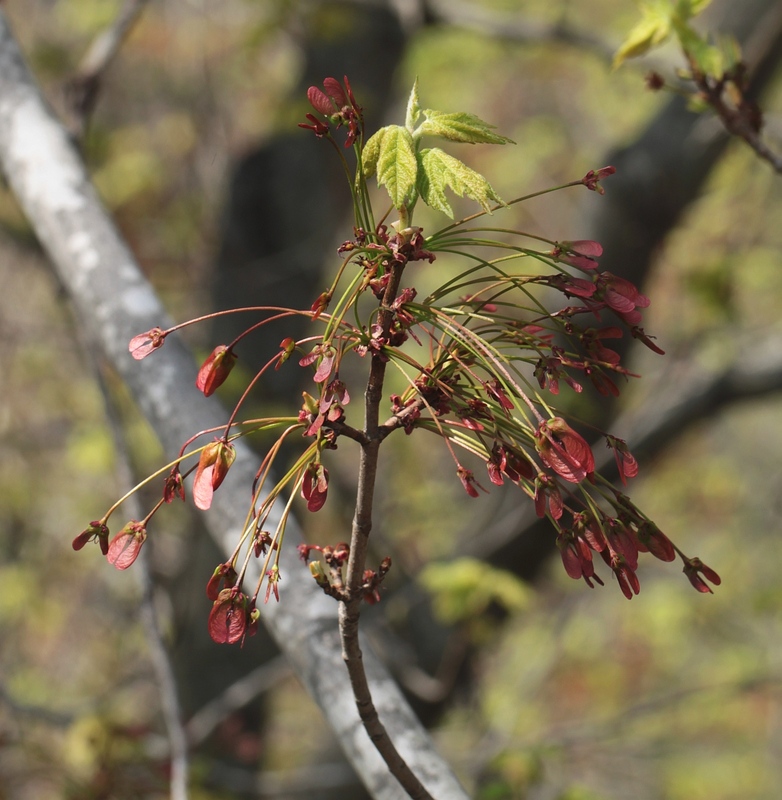 Woodies: Red Maple and Sugar Maple in leaf, and Shadbush in bloom at Fishkill Landing. Sugar Maples leaf out in New Lebanon in 1853; in Chatham, Sweetbriar and Lilac was in leaf in 1852. New Lebanon noted blooming Shadbush, together with Black Elderberry and Sweetbriar in leaf in 1853. 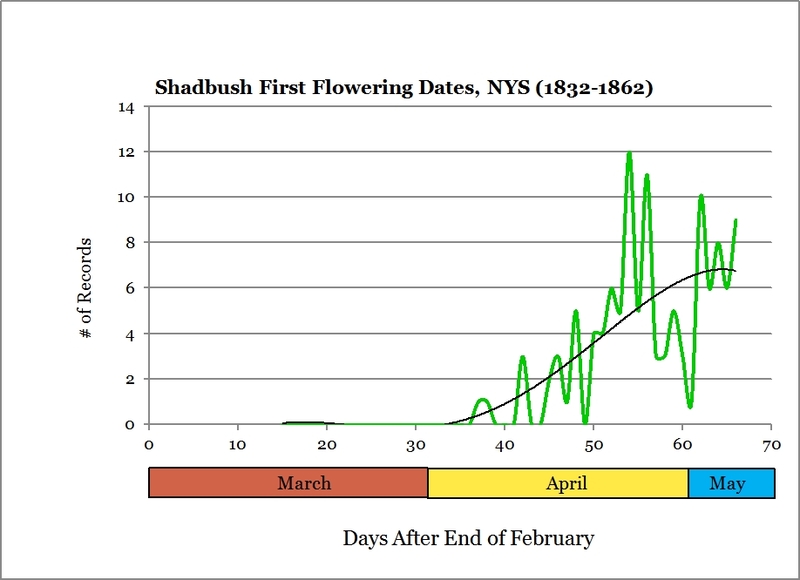 In 1836, Kinderhook also reported Shadbush in bloom on these days. Birds: In Amenia, 1849, Whippoorwills first appeared. Swallows first seen on these days in Poughkeepsie in 1835. 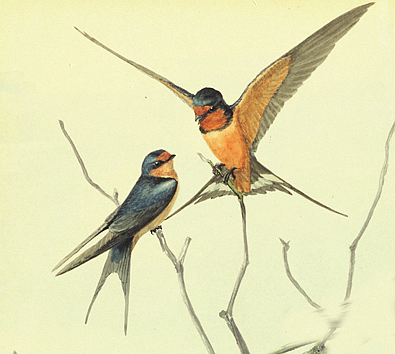 Swallows appeared in Kinderhook in 1839. Agriculture: New Lebanon observed blooming Gooseberries in 1851 and Blackberry in leaf in 1853. Pear was in leaf and in flower in New Lebanon in 1853, Strawberries bloomed in the same time. 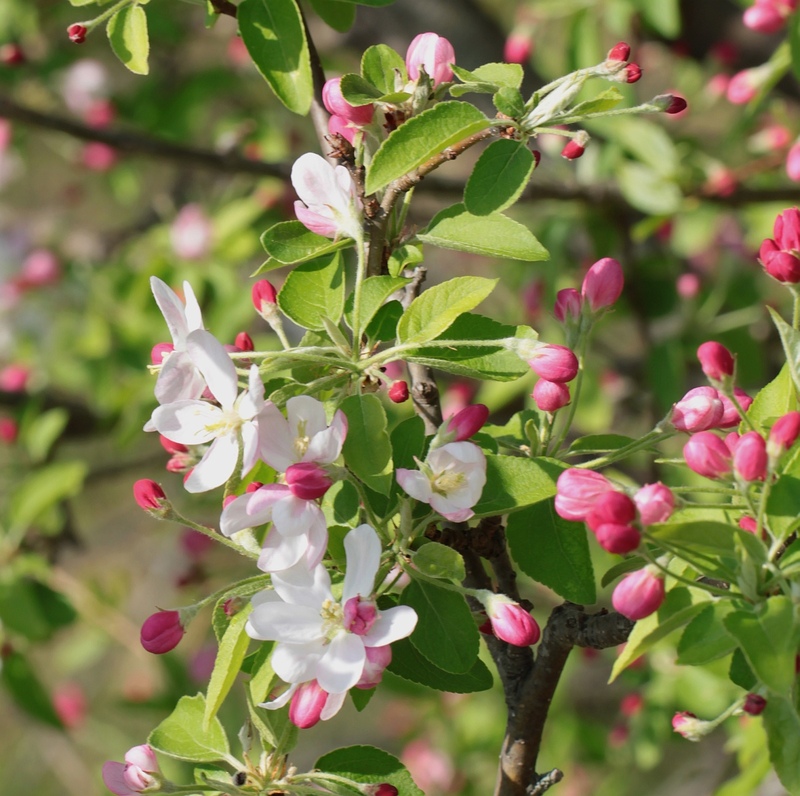 In 1840 and 1844, Apple Trees were seen flowering in Kinderhook. Cherries blossomed in Red Hook in 1832. In 1840, blossomed Apple Trees appeared in Kinderhook. Reported Apple Trees putting forth leaves in Fishkill landing, 1858, and in New Lebanon, 1853. Canada Mayflower, also known as Two-leafed Solomon’s Seal. Herbs: Noted in flower on this day was Bellwort, Sorrel, Ragged Sailor (an interesting name of uncertain application), Pansy Violet, Dwarf Ginseng, Two-Leaved Bishop’s Cap, Iris, Hepatica, Venus Fly Trap (? ), Columbine, Sheppard’s Purse, Marsh Marigold, and two Crowfoot (aka Buttercup). Reports also included blooming Daffodil (three records), Dandelion, Saxifrage, and two Trillium; four reports of bloomed Windflower and three of Spring Beauty, three of Trout Lily and one Bellwort. First flowerings twixt the weeds included Narrow-Leaved Plantain and Yellow Clover. 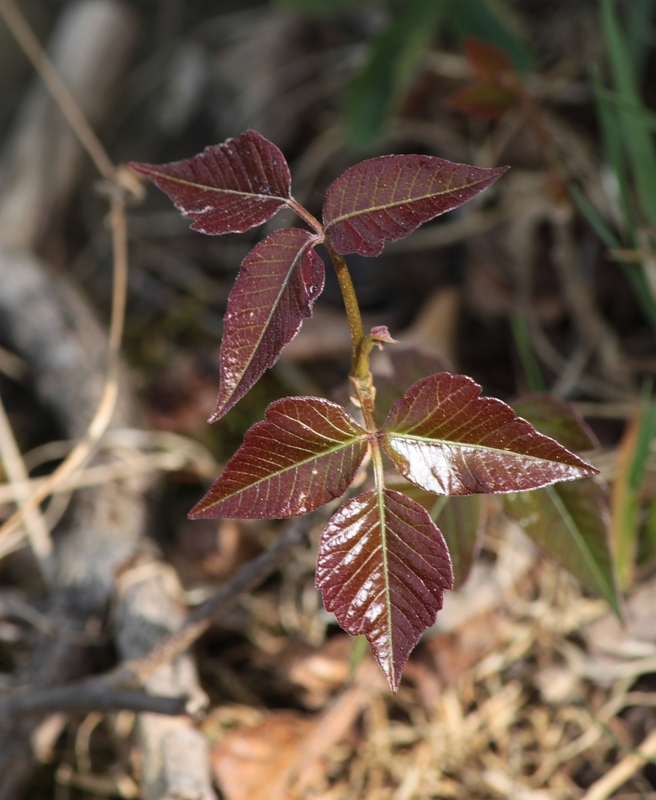 Woodies: Reported in four accounts was Shadbush in bloom; three observed blooming Dogwood, two Horse Chestnut, Sugar Maple, and Red Maple flowered. Snowball, Yellow Rose and Hobble Bush also had blossomed. White Oak, Mockernut Hickory and Chestnut had leafed. 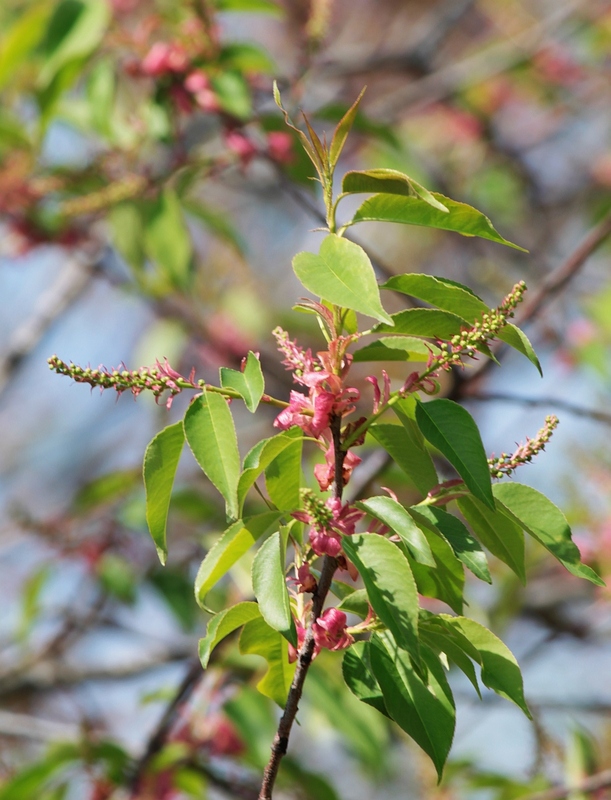 Flowered Lilac, Dogwood, Flowering Almond, Sassafras, Shadbush and Sugar Maple was reported. Observed in leaf: Lilac, Sugar Maple, Black Walnut, Wild Black Cherry and Black Locust. Birds: Catbirds, Swallows (four reports), Whippoorwills (three reports) and Bobolink first seen. Two reports of arrived Martins. Other Critters: In 1844, Pleasant Valley noted the first Frogs heard. Agriculture: Peaches, Pears, Currants, Gooseberries, Strawberries, and Cherries blooming. Also flowered was Apricot, Apple and Cherry was in leaf. The planting of Corn and Potatoes was commenced on this day. Asparagus harvested and Oats sown on these days. One of Canada Mayflower’s close relatives, the so-called False Solomon’s Seal. Woodies: Trembling Poplar noted in leaf. Sassafras and Wild Plum in flower in Kingston, 1802. Agriculture: Blossomed Currants in Delaware County. Woodies: Choke-Cherry and Lilac had put forth leaves. Shadbush had leafed. Lilac flowered in Lansingburgh in 1844. Birds: In Greenwich, Chimney Swallows arrived on this day in two consecutive years. First arrived Barn Swallows. Other Critters: Frogs first heard in Lansingburgh, 1843. Herbs: Dutchman’s Breeches, Red and White Baneberry, Columbine, Spring Beauty, Daffodils, Trout Lily and Violets had blossomed. Two reports of flowered Violets; Marsh Marigold and Hepatica also bloomed. Reported Daffodils flowering on these dates. Woodies: American Elm flowered. Reports of Dogwood flowered. Birds: Four locales noted arriving Barn Swallows. Martins arrived in Johnstown in 1842. Agriculture: Ploughing began. Three reported Plums blooming and Cherries had also flowered. Three reports of flowered Gooseberry. Apples, Currants, and Plums; Gooseberries also observed in leaf. Herbs: Two reports of flowered Daffodils and Dandelion also noted as bloomed. Bellwort, Dwarf Ginseng, and Hepatica bloomed. Woodies: Three reported Shadbush flowerings. Birds: Bobolink and Barn Swallows appeared (twice). Martins seen in two locales. Other Critters: Year’s first Frogs heard on this day in Utica, 1837. Agriculture: Apples, Strawberries and Plums flowered and Cherries had leafed. Herbs: Barren Strawberry, Field Pennycress, Dandelion, Buttercup, Blue Cohosh, Marsh Blue Violet, Roundleaf Yellow Violet, Trout Lily, Wild Strawberry, Andromeda and Sedges had bloomed. Birds: Arrived “Swallows” in two reports; Passenger Pigeons also observed. Barn Swallows first arrived in Oswego County, 1859. Potsdam noted first seen Barn Swallows in 1846. Other Critters: Peepers first heard and Grass Hoppers appeared. Agriculture: In Oswego County, Cherry had blossomed. Currants in bloom noted in two reports; Plum also flowered. Herbs: Flowered Bloodroot and Bellwort; four reports of Daffodils blooming. Flowered plants included Saxifrage, Bloodroot, Daffodil, Dandelion and Hyacinth. Flowered Marsh Marigold, Early Saxifrage, and Two-Leaved Bishop’s Cap. Woodies: Specimens in leaf included Yellow Poplar, Red Maple and Sugar Maple. Sugar Maple reported in bloom twice. Shadbush, Spicebush, and Dogwood flowered. Butternut and Hawthorn in leaf. Birds: Hummingbirds and Barn Swallows appeared. Martins arriving noted in a pair of reports. “Swallows” first observed in four locales. Agriculture: Seven reports of blossomed Plums, Currants flowered reported in two. Cherry, Peach, Apple (five reports), Gooseberries, and Strawberry bloomed. In leaf was Apple. Coupled reports of Apricots bloomed. Indian Corn planted. Also noted flowering was Cherries, Currants, Apples and Apricots. The first flowering Shadbush we’ve seen in the neighborhood. Herbs: Two reported Sedges and Violets blooming. Also in bloom was Dwarf Ginseng, Jack in the Pulpit, Marsh Marigold, Spring Beauty, Spotted Geranium, Hepatica, Tufted Vetch, Rough-Leaf Ricegrass, Buttercup, Two-Leaved Solomon’s Seal, Early Meadow Rue and Foam Flower. Crown Imperial Flower and Saxifrage blossomed. Dandelion, Bellwort, Golden Alexander, Cardamine, Dahlia, Daffodil, and Seersucker Sedge reported blooming. 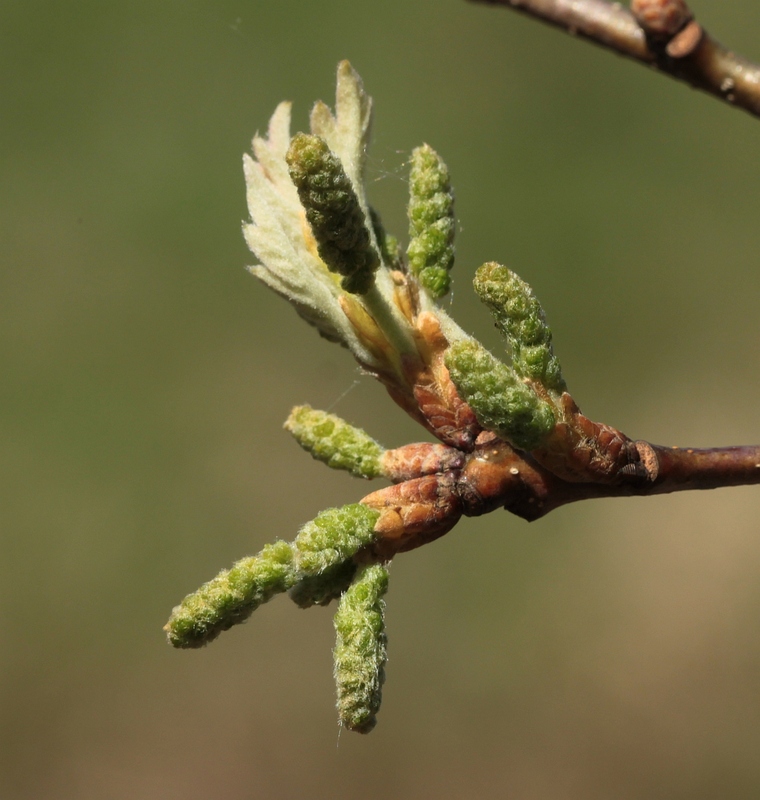 Woodies: Five reported blossoming Willow; bloomed Silver Maple, Chestnut, Aspen, Shadbush, Lilac, Blue Berry and Elm; reports of leaved Elderberry and Red Maple. Black Locust and Buckeye had put forth leaves. Poplar, Dogwood, Butternut Hickory, Birch, Hawthorn and Shadbush had flowered. First observed blooming of American Honeysuckle and Spicebush; in leaf was American Elm and Shadbush. Birds: First appeared Goldfinch and Chimney Swallows. Agriculture: Cherry, Apricots, Peaches, Pear and Apple bloomed. In leaf was Apple and Pear. Two reports that Peaches had flowered. Herbs: Observed Dandelion in flower. Birds: Whippoorwills first appeared. Barn Swallows appeared. Swallows arrived. Agriculture: Bloomed was Strawberry and Apricot. Two locales noted Plum Trees in bloom. Herbs: Two-Leaved Bishop’s Cap and Violet had bloomed. Sugar Maple and Red Maple had flowered. Hyacinth, Wild Strawberry and Tulip had also flowered. Woodies: Reported in leaf was Flowering Dogwood. Cherries blossoming noted in two reports. American Elm flowered. Agriculture: Bloomed Apples, Peaches, Pears and Strawberries reported. Progress of the Seasons Journal: 1 May, 1832-1862. 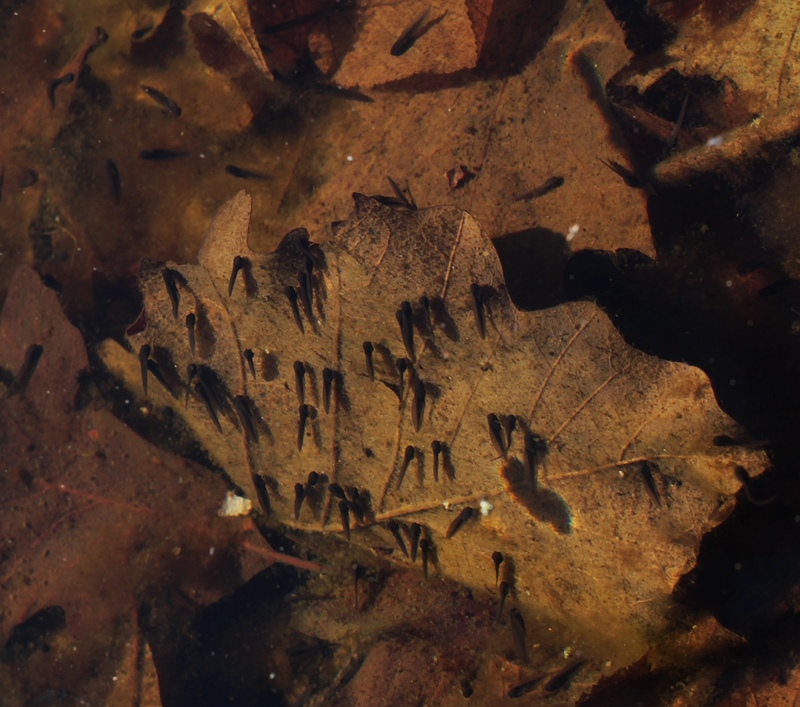 Current Phenological Events for 2015: American Toads in full swing in Sheffield MA pond, Cabbage Whites in Chatham, Mayflies flying at a Claverack pond. Here is the historical phenology report of the ‘Progress of the Seasons Project’ for May 1. It’s graphics Friday. We’ll take the first day of May mainly to review a few different perspectives on where we’re at in the historical seasons. These graphs show the patterns in our 1832-1862 data. Two of the animal events we’ve been following – the first calling of Frogs and the arrival of Martins – seem to be tapering off (see graphs below). Of course, Frogs are still calling and Martins flying, but their season premieres seem to be passing. As we have commented earlier, “Frogs” is pretty generic. In fact, some frog species (such as Bull Frogs, Green Frogs & Pickerel Frogs) have yet to really start singing. However, because they sing after Wood Frogs and Spring Peepers and because the historical observers did not appear to be into frog call ID, the entry of these species into the chorus will go unheralded. Peepers will keep peeping for a while still, but those Wood Frogs have mostly done their things in the ponds, and then clammed up, packed up and returned to their usual woodland haunts. As a review of the details below will reveal, amongst animals, Swallows and Whippoorwills still seem to be notching up registers. 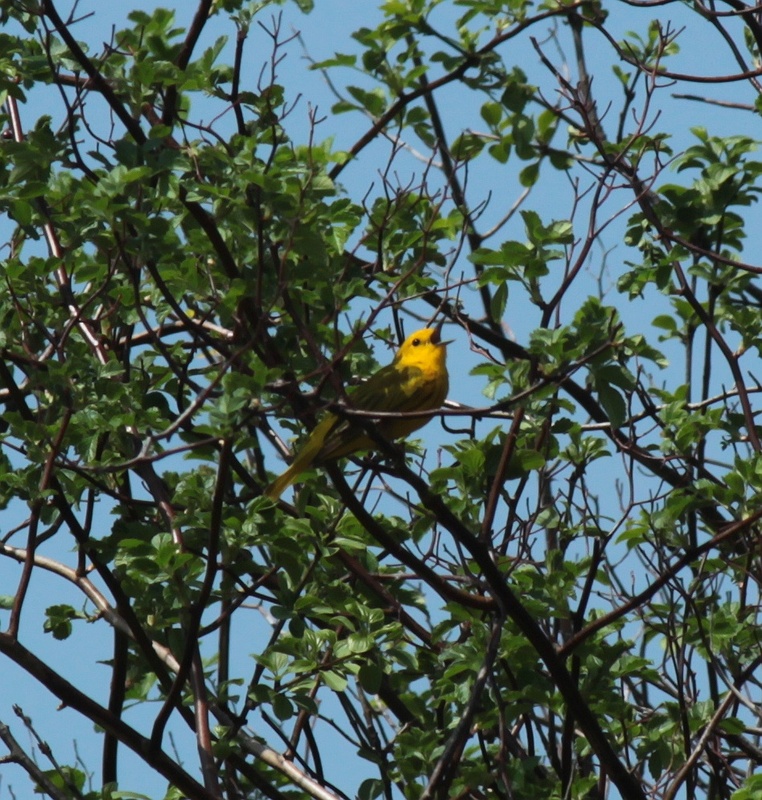 Yellow Warbler arrivals may also be in vogue. In a couple of weeks, perhaps we’ll look back on their arrival graphs. In the plant world, the historical graphics suggest that Apple flowering is surely still up & coming, and Cherry flowering may be passé. Dandelion, Currants and Shadbush are not really making a clear statement. The model lines suggest a dropping off or plateau for each of these species, but models can be over-eager to make predictions. I think we should reserve judgment and just see what comes. Certainly, hereabouts Shadbush, for example, is just starting to flower. Lastly, here is one of our first then-&-now graphs, presented with some trepidation. This shows Lilac flowering into early May. The figure compares our historical data, mainly from the academies, with those of NOAA for 1965-2003. First the caveats. There are several reasons why our approach is sloppy. Secondly, in the data up to 5 May, we have more than three times the number of modern records as historical records. 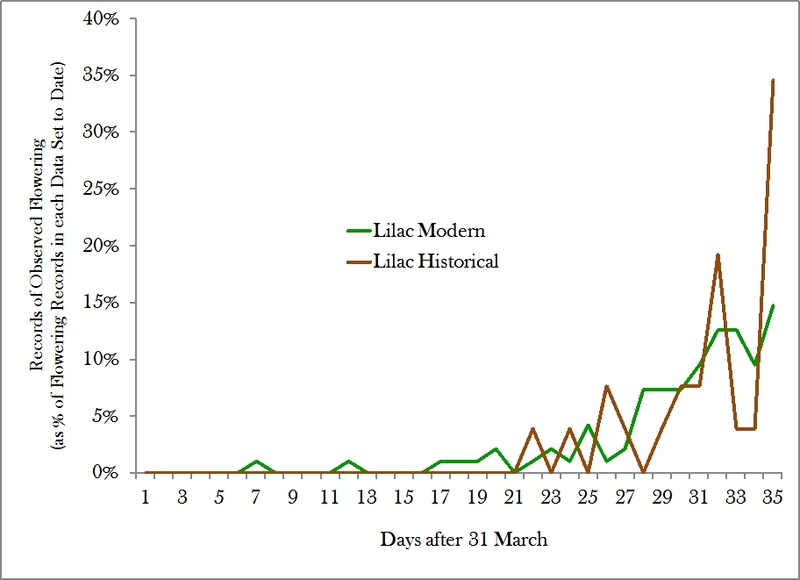 So, while the graph does suggest that first bloom has happened earlier in the modern records, this may reflect the fact that there were more observations and hence a better chance of glimpsing the rare early flowering. 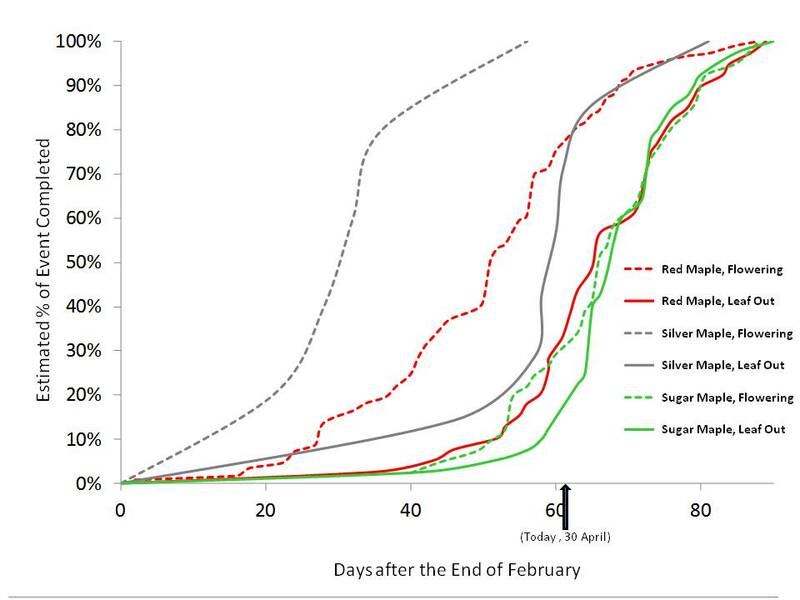 All that said, the general impression is perhaps one of similarity rather than divergence, with both data sets suggesting that flowering really gets underway after 25 April. These graphs will become more meaningful once we look at the full arc of flowering and we try to control for potential differences in observation locations. This graph is really just meant to start you thinking about ways to compare then and now. Wood Frog eggs had hatched by last weekend and these ‘youngsters’ are doing their best to metamorphose before their pool dries up. Herbs: Chatham and New Lebanon reported flowering Violets in 1851; New Lebanon again in 1853. Bloodroot, Common Yarrow and Hepatica are reported blooming in 1855 in Spencertown. In 1851, New Lebanon noted flowering Marsh Marigold and Chatham reported Adder’s Tongue blossoming. 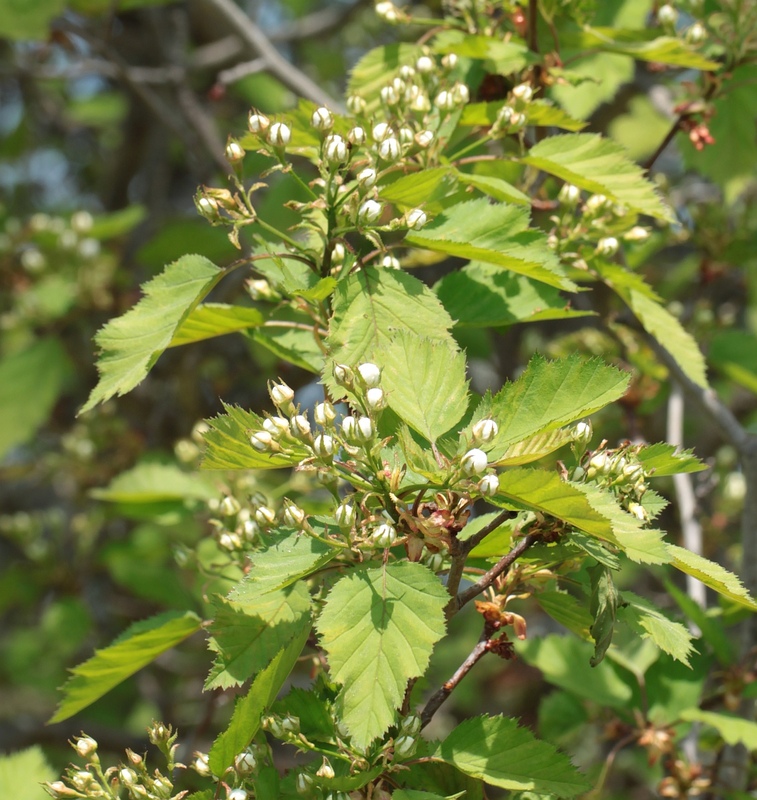 Woodies: Horse Chestnut, White Alder, Flowering Dogwood, Black and Red Elderberry, Shadbush, Wild Black Cherry and Choke Cherry all reported as in bloom in Spencertown, 1855. Reported Red Maple, Flowering Almond, American Elm and Snowball in bloom in Chatham, 1852; Spicebush in 1851. In Fishkill, Chestnut, Black Locust, and American Elm bloomed on this day and Lilac had put forth leaves. New Lebanon reported Lilacs in leaf in 1853. Birds: Hudson’s first Barn Swallows of the year appeared in 1835. Agriculture: Peach blossomed in Poughkeepsie, 1832. Fishkill Landing’s first of the year Pear Tree in leaf in 1858. Reported Apple flowering in Spencertown, 1855; in 1851, Red Currant flowered in New Lebanon. Herbs: Four reported flowering of Dandelion, two of the blooming Cuckoo flower and Toothwart. 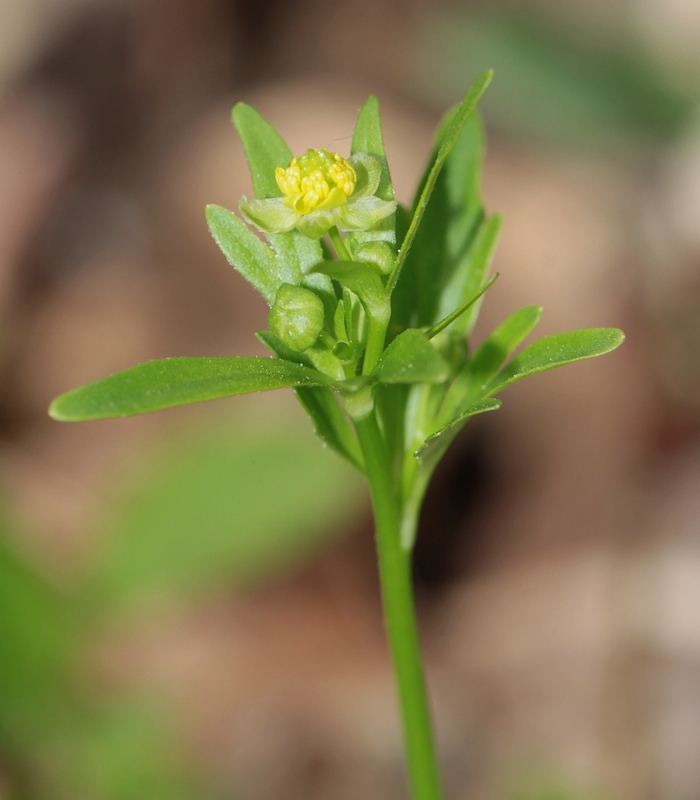 Single reports of flowering plants for this day included Hapatica, Spring Beauty, Daffodil, Two-Leaved Bishop’s Cap, Early Meadow Rue and Trillium. 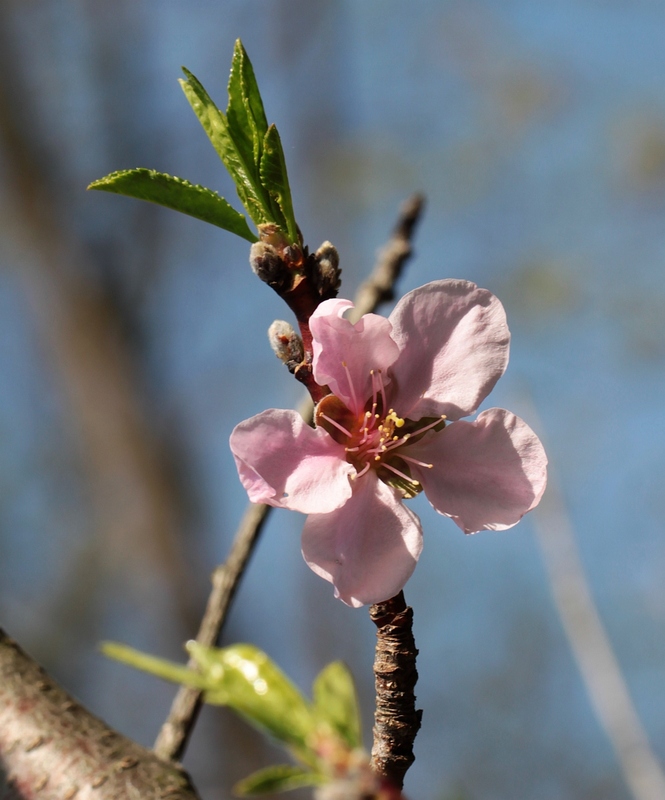 Woodies: Two reports of flowered Dogwood, Peaches, Flowering Almond, and Shadbush. Lone reports of blossomed American Elm, Sassafras, Locust, Lilac, and Horse Chestnut; Additionally, Virginia creeper, Aspen, Yellow Poplar, Dogwood and Horse Chestnut noted as in leaf in single reports. 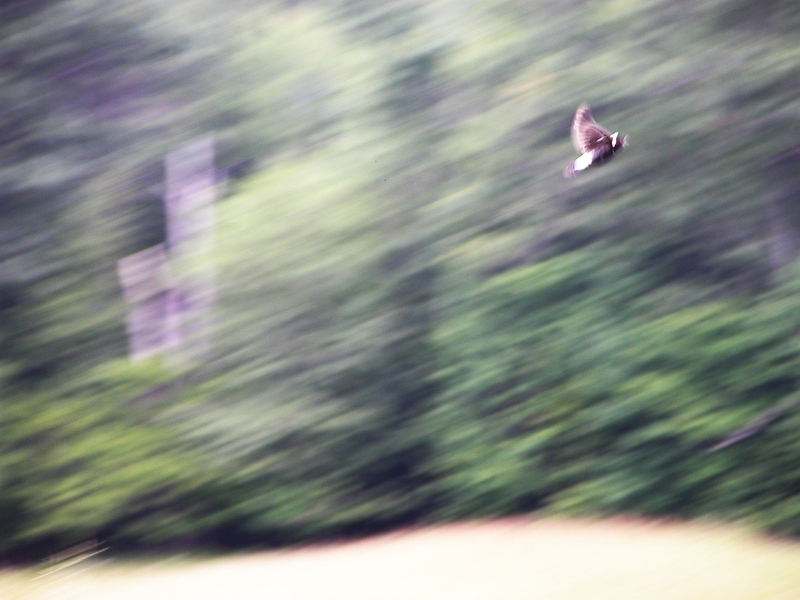 A Bobolink doing what it does best – being a raucous blur above a field. We haven’t seen them here yet this year, but they are starting to show up in the historical records. Birds: Two reports for first appeared Bobolinks and Swallows; Red-Winged Black Birds arriving also reported. Agriculture: Six reports for both blossomed Strawberry and Currant; four reports of flowered Apple and Pear, three of Peach and Cherry, and two reports of bloomed Plums and Raspberries; a solo report for the blossomed Flowering Almond. Other reports included the ripening of Radishes and the planting of Corn. 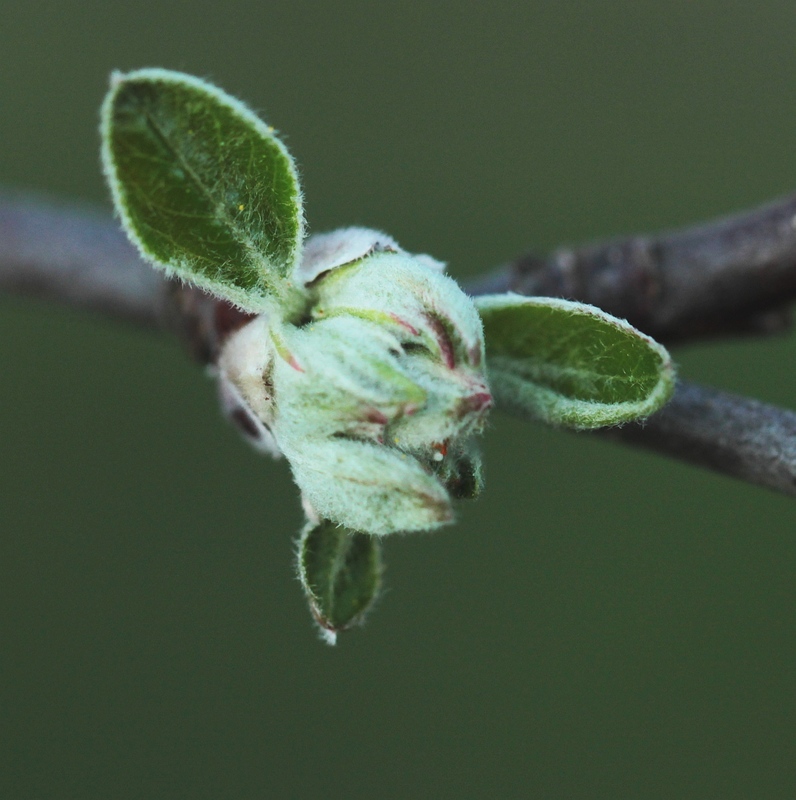 Agriculture: Reported Apple Trees blooming in three different years for this day; a solo report for Apple Trees in leaf. Cherries blooming noted in two reports, Lilacs flowered in one. 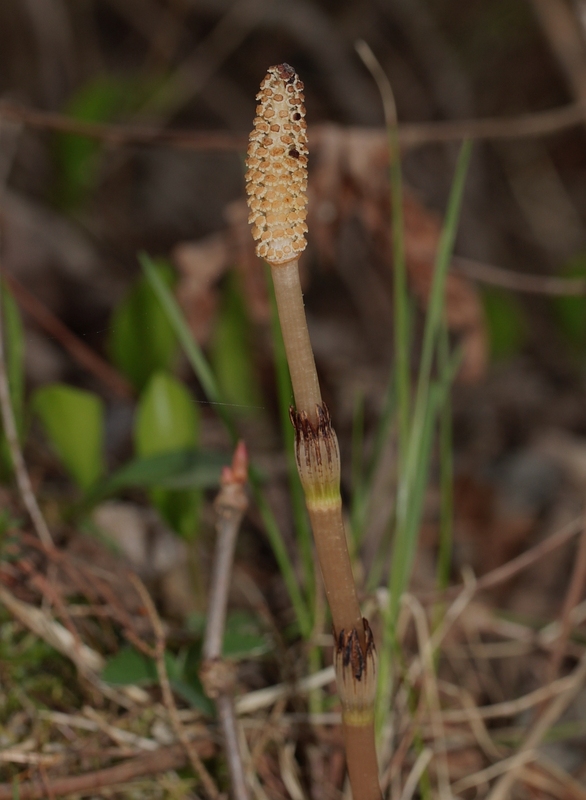 One of this year’s burgeoning young Horsetails. Agriculture: Flowering Currants noted twice for this day. Other flowerings included Shadbush, Cherry and Apple; Lilac was in leaf. 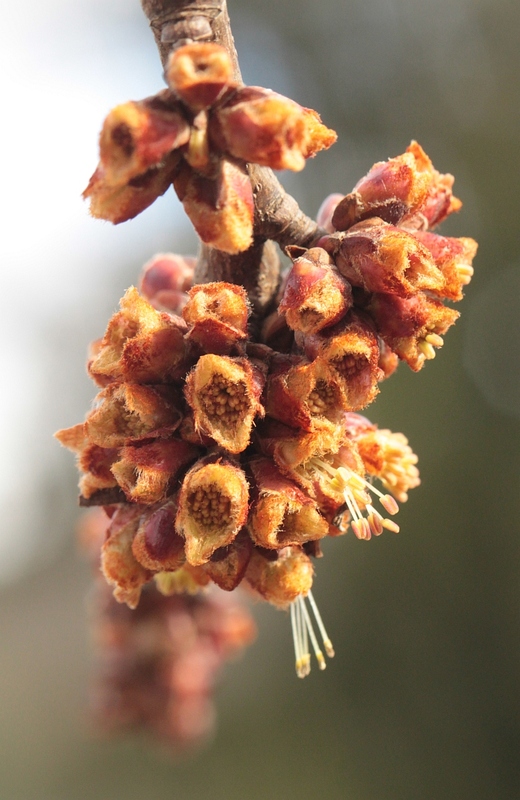 Woodies: Both Red Maple and Shadbush reported flowering. Birds: Arriving Swallows observed in Lowville. Agriculture: Cherry observed in leaf and two reports of blossomed Currants. Herbs: Dandelion and Daffodils reported blooming, each in two locals on this day; Trailing Arbutus also bloomed. 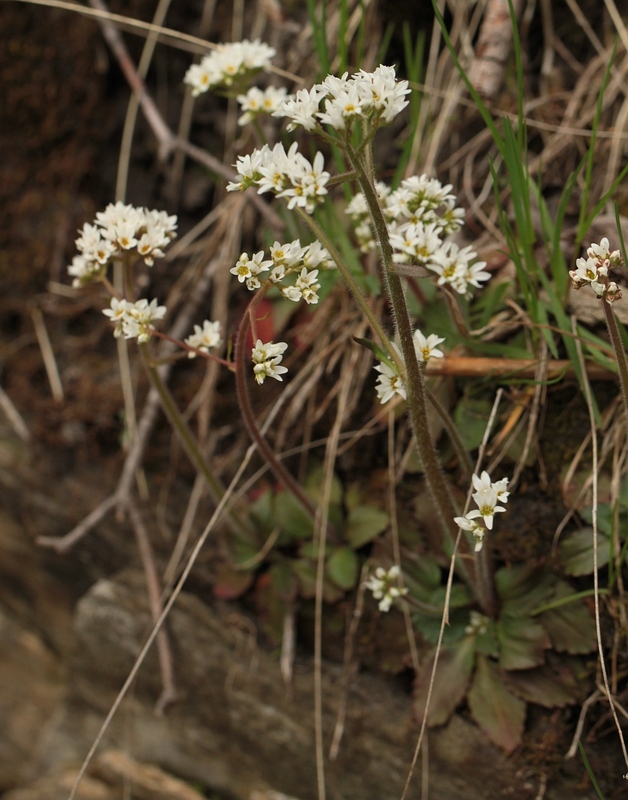 Early Saxifrage flowering yesterday near Sheffield, MA. Woodies: In 1842, Shadbush first bloomed in Hamilton. Birds: The first arrived Martins and Swallows. The year’s first Whippoorwills appeared on this day in Niagra in 1836 and 1846. Agriculture: Blossoming Currants, Apples, Apricots, Plums, and Cherries observed. Herbs: Reported in flower on this day was Violet, Blue Cohosh, Sedge, Spring Beauty, Trout Lily, Trillium, Bloodroot, and Wild Strawberry. Birds: First seen Barn Swallows reported in two locales. Agriculture: Plum and Currants in leaf reported twice; blossoming Currants and Apples also noted. 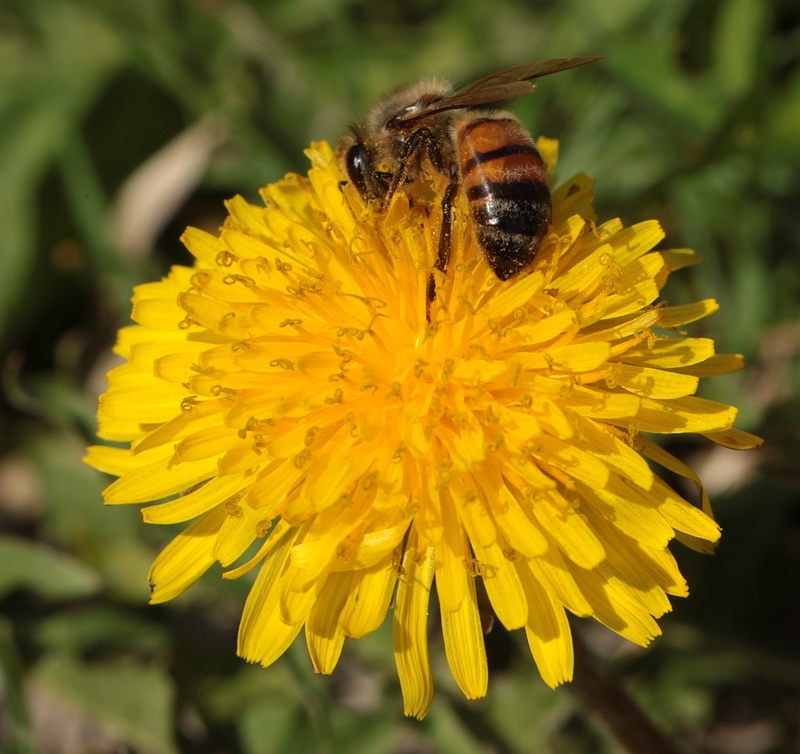 Herbs: Cortland reports flowered Dandelion in 1844. Woodies: Reported Sweet Briar, Cabbage Rose, Cockspur Thorn and Red Maple in leaf. Blossoming Elm was observed. 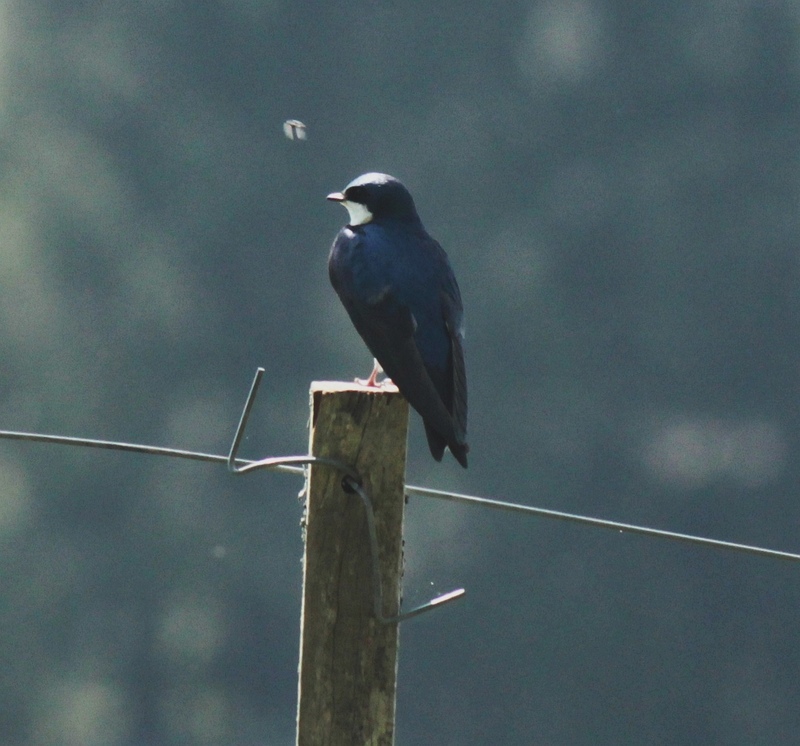 Birds: Barn Swallows and Martins reported in two locales each. Orioles and Bobolinks also first appeared. Other Critters: The sound of Peepers noted in Ovid on this day. Agriculture: Currants blossoming twice reported; Apple, Cherry and Peach also flowered; observed in leaf was Currant and Pear. Asparagus was reported as first harvested. Herbs: Marsh Marigold, Trout Lily, Pale Spring Beauty, Allegheny Stonecrop, Long-Stalked Sedge, Seersucker Sedge, Blue Flag, Chickweed and Veronica blossomed. Dandelion observed flowering in two reports. Musclewood (Carpinus) thinking seriously about flowering yesterday in Sheffield, MA. Woodies: Two observed Shadbush blooming. Honeysuckle, American Elm and Red Maple reported in leaf. Bloomed Cottonwood, American Elm, Snowball, Willow, and Northern Red Oak first appear. Agriculture: Coupled reports of blossomed Cherry; observed Peas, Currants, Flowering Almond, Peach, and Plum blooming; Gooseberry in leaf. Birds: First of the year Whippoorwills appeared in Lewiston on this day in 1836 and 1846. Agriculture: Reports of flowered Apple and Apricot trees. Herbs: Flowered Blue Cohosh, Trout Lily, Trillium and Broad-Leaved Toothwart. Woodies: The reported blossoming of American Honeysuckle and Shadbush. Agriculture: Currants, Pear and Gooseberry blooming observed.